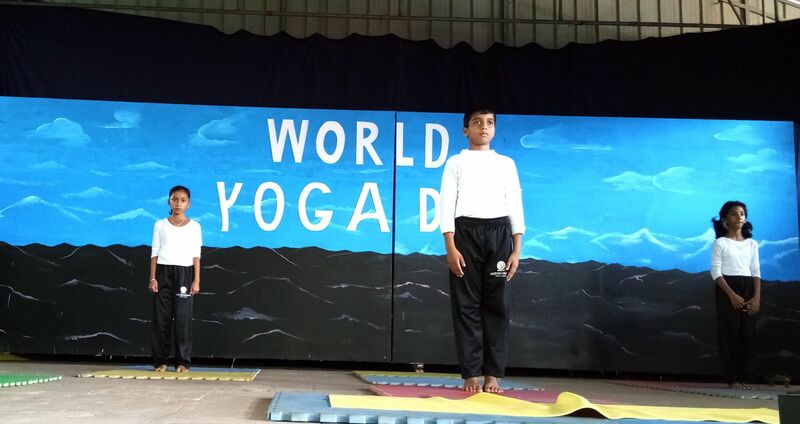 Sadhbhavana world school celebrated Vayana dhinam on June 19th 2018. The program has started at 9:00am.Function was innaugurated by Nazahah(AS Level student). 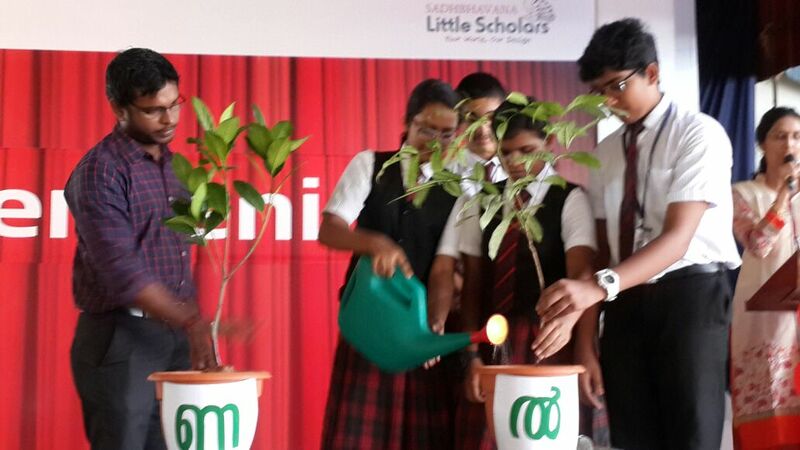 Ms. Sabitha and Ms. Saritha, along with some selected students have lighted the nilavilakku. Book fair was conducted by DC Books on 19,20 and 21st of June. 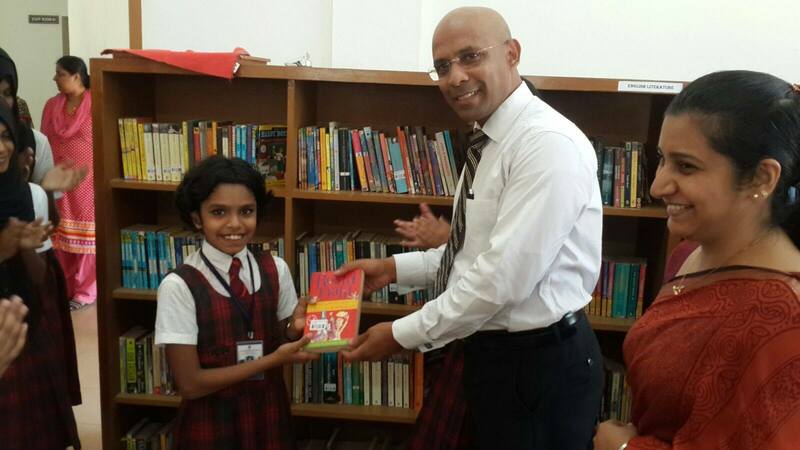 A lot of students got the chance to buy books. 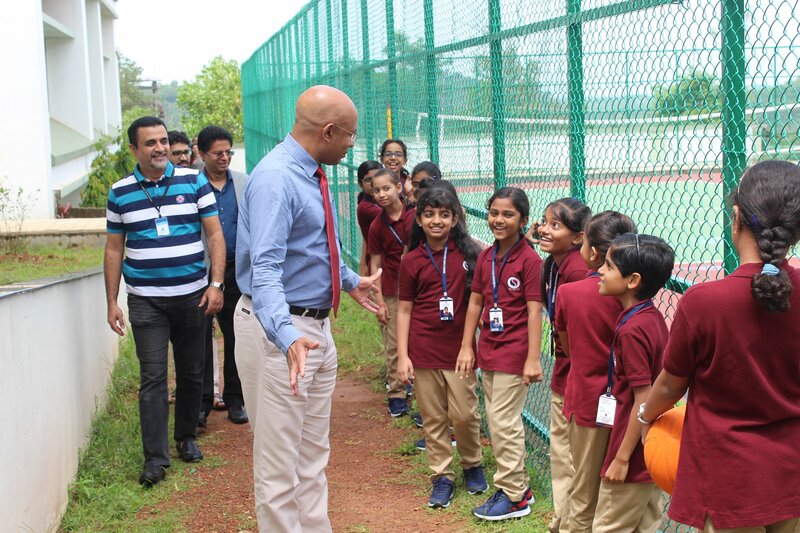 Sadbhavana World School, wore a fresh and exuberant look and bloomed once again as it received a new life with the echoes of the students on the first day when it reopened for the academic session 2018-19. 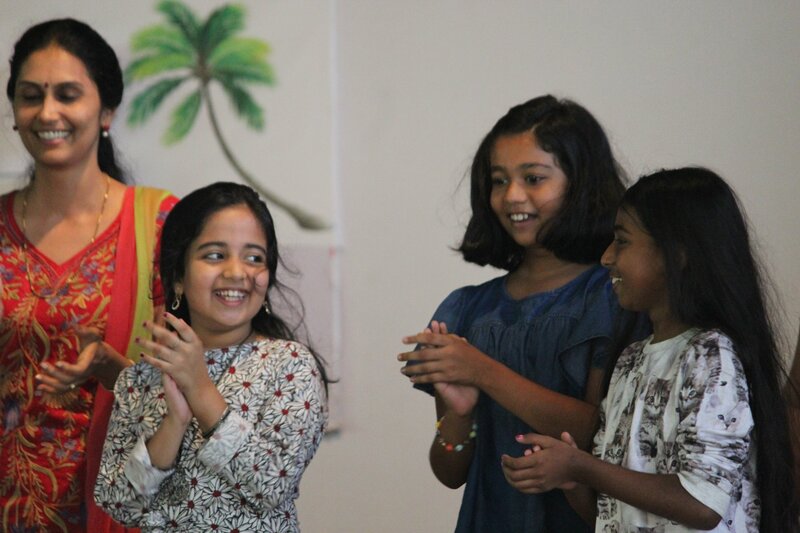 The students were welcomed with a special assembly which included performances by their beloved teachers. 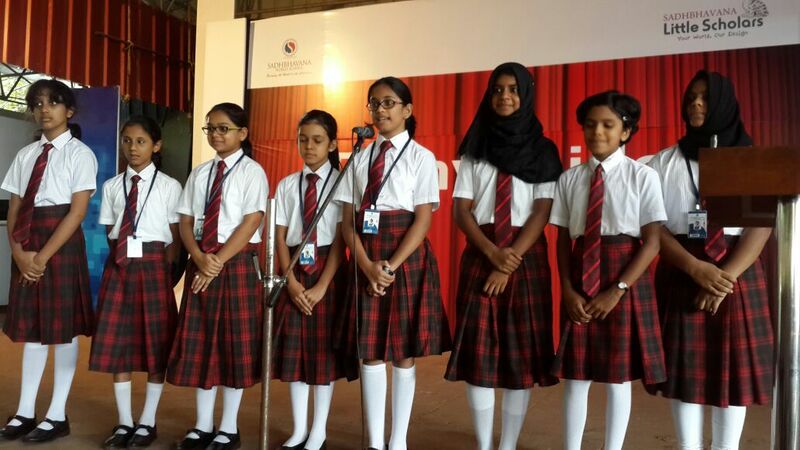 A motivating speech by the Headmistress Ms. Sabitha marked the beginning of an exciting year ahead. 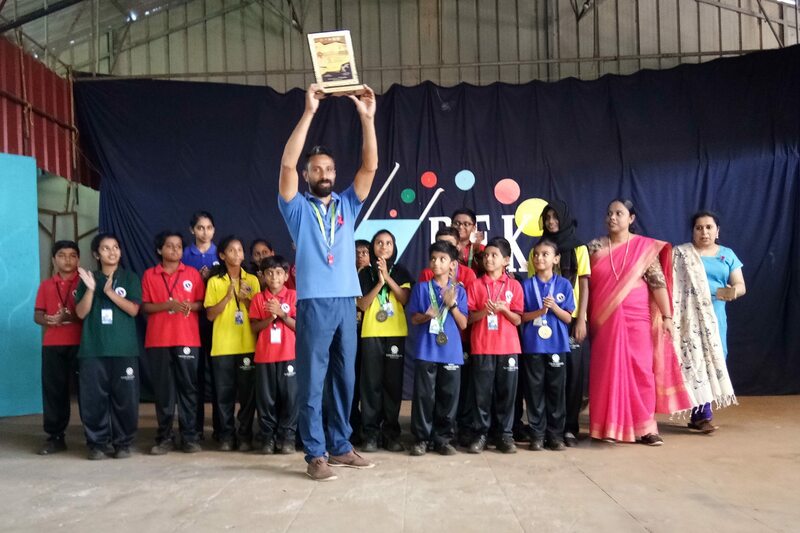 Our karate students, who performed exceptionally well in the National level test for the Black Belt conducted at Wayanad by the United Martial Arts academy International, were presented with medals and certificates during the assembly. 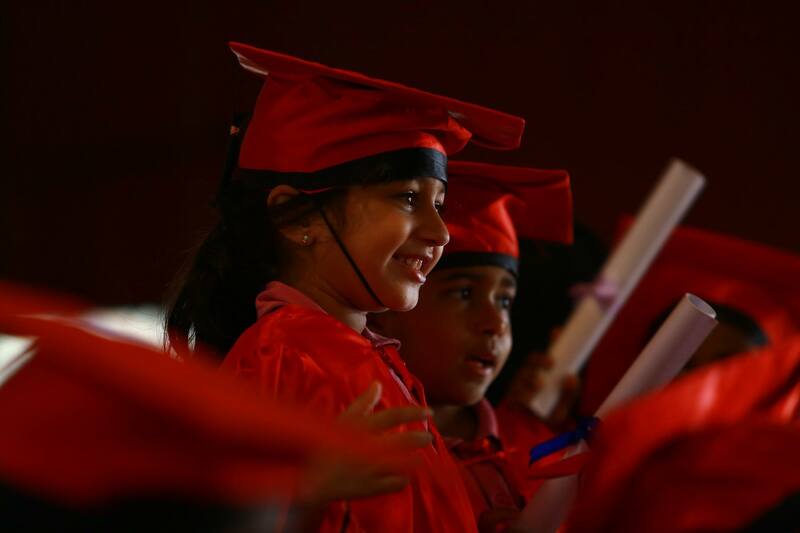 The children of two nannies who scored A+ in all subjects in the S.S.L.C. 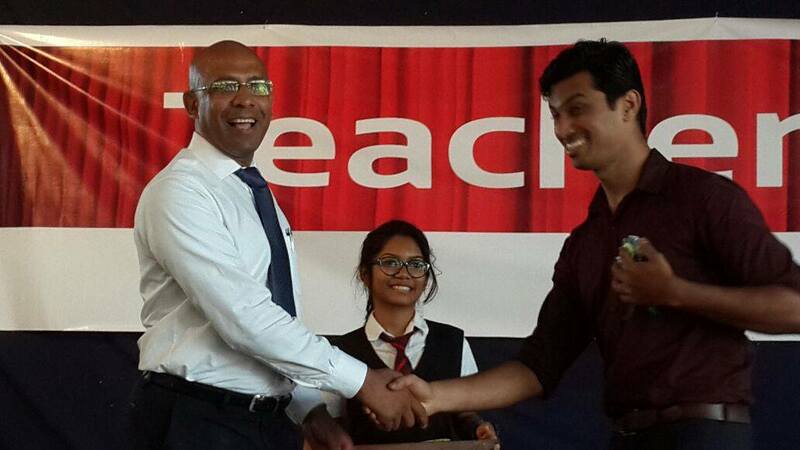 exam were felicitated with cash awards. As the popular proverb says “a good beginning makes a good end” the message was spread to make a good beginning both academically as well as socially in order to make a change and bring positivity in and around. 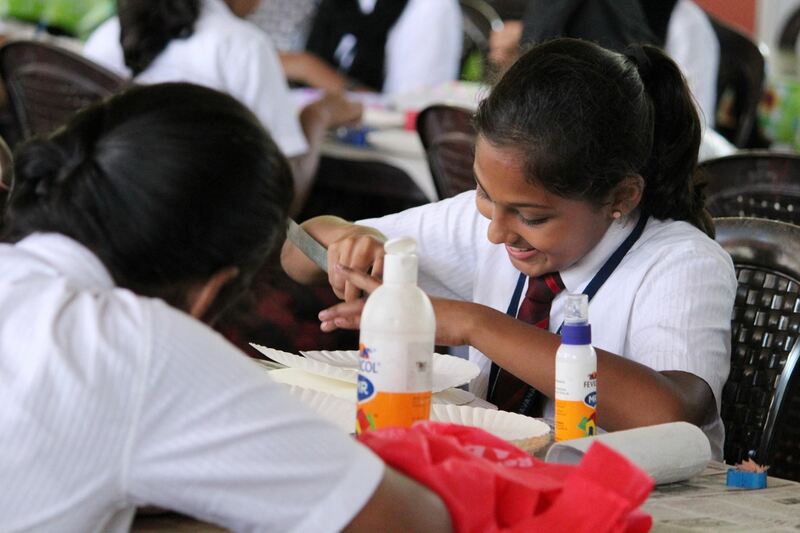 As part of World Craft Day, Sadhbhavana conducted a craft competition at Sadhbhavana Campus. 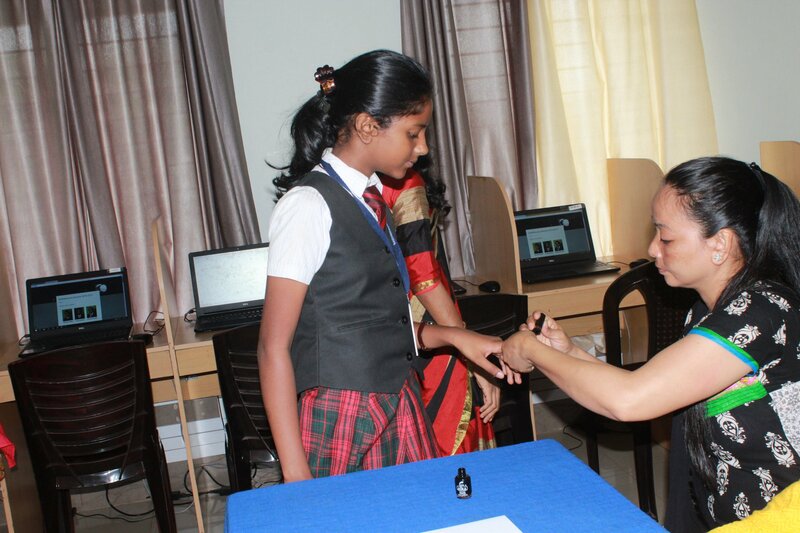 Students from grade 4 – 9 participated in the competition. 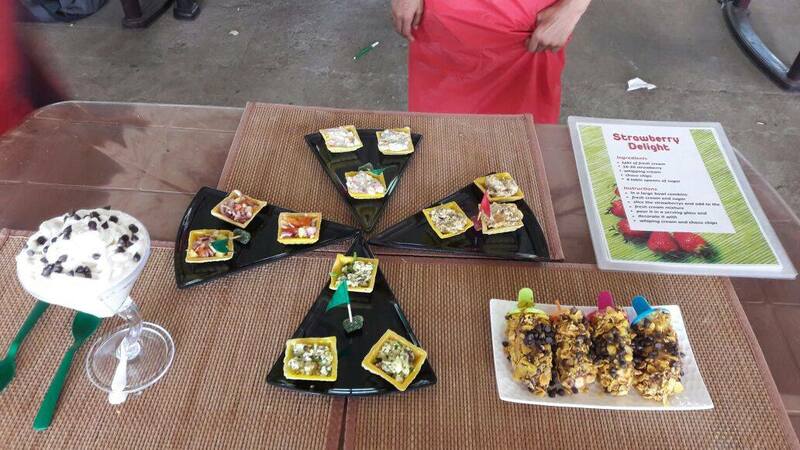 Disposable plates were the primary material. Students were allowed to use along with paint, glue and chart. 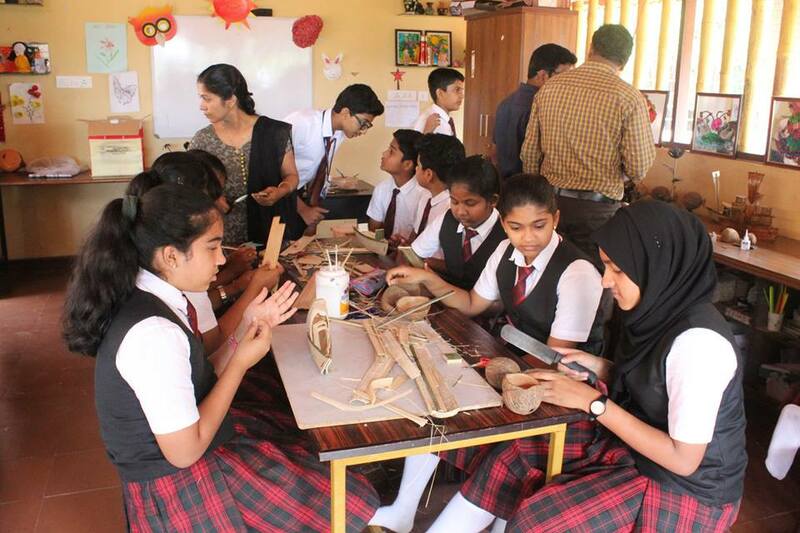 And for the purpose of fund raising for the Carnival, Sadhbhavana conducted a coconut shell and bamboo workshop for children with the help of resource person Mr. Vinod Payimbra. 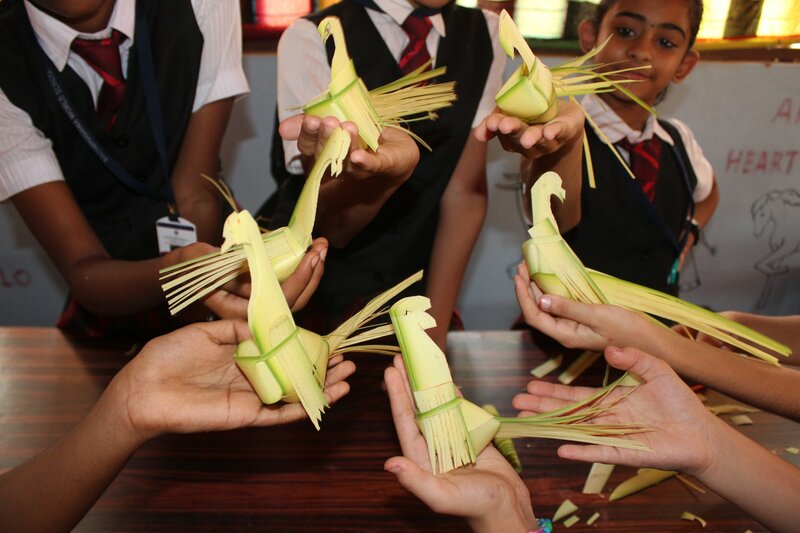 Children participated and made beautiful craft work which was sold during Carnival. Srinivasa Ramanujan who has made substantial contributions to the analytical theory of numbers and worked on elliptic functions, continued fractions, and infinite series, Sadhbhavana celebrated his birthday. Ramanujan Day was calebrated on 20th December 2017. The day started with a special assembly to mark the importance of Maths in our day to day life. It is important to aware the children that Mathematics is a methodical application of matter. It is so said because the subject makes a man methodical or systematic. Even insects use mathematics in their everyday life for existence. 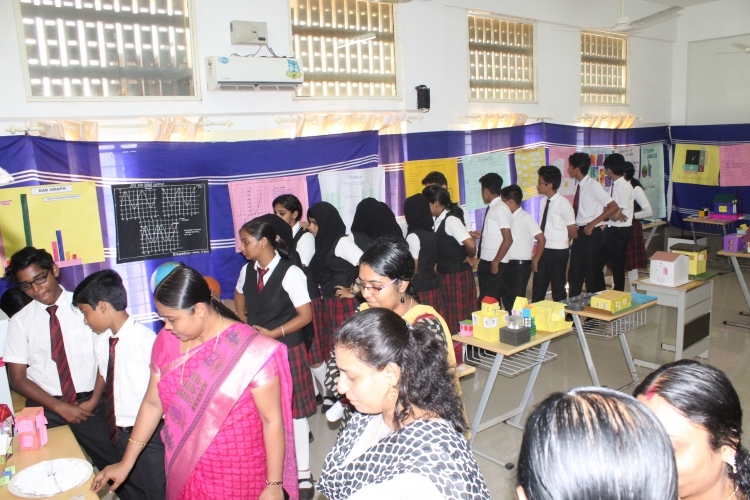 Math department also conducted an exhibition displaying different exhibits done by the students. 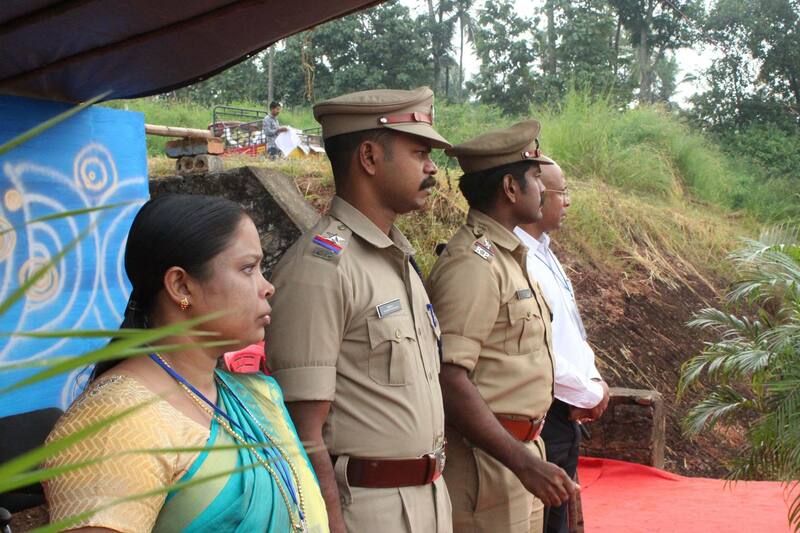 The program was inaugurated by headmistress Ms. Sabitha. Children\'s day was celebrated with gaiety and fervour at Sadhbhavana School on 14th of November 2017. It was a fun-filled day for the students. 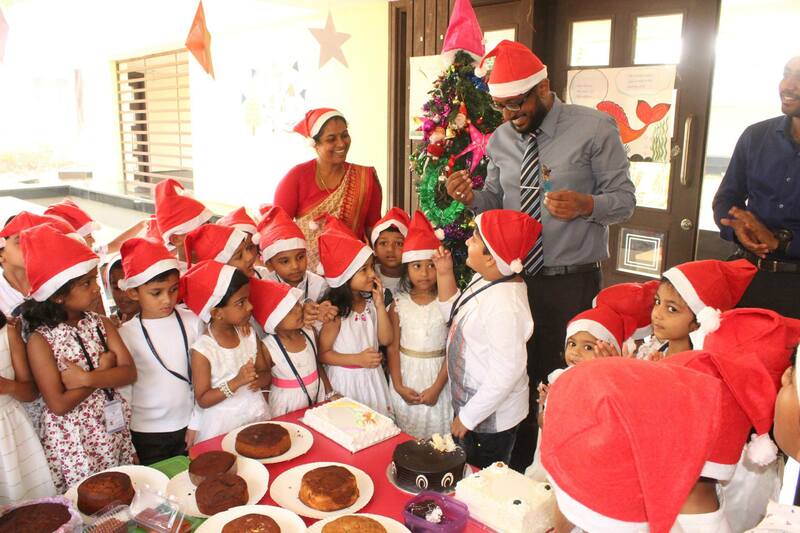 The teachers made the day special, as they had a lot of fun-filled activities lined for them. The program commenced with prayer by teachers. 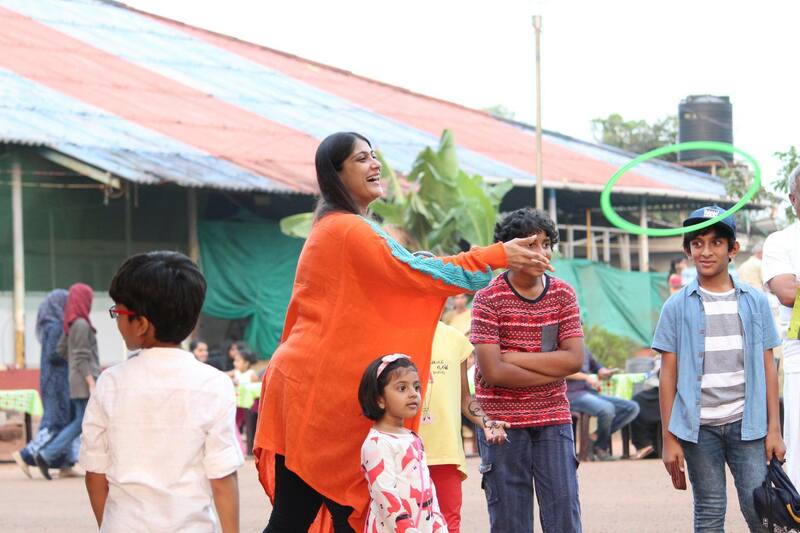 The children were all geared up to enjoy an elaborate and spectacular entertainment after the welcome address by Miss Anisha. 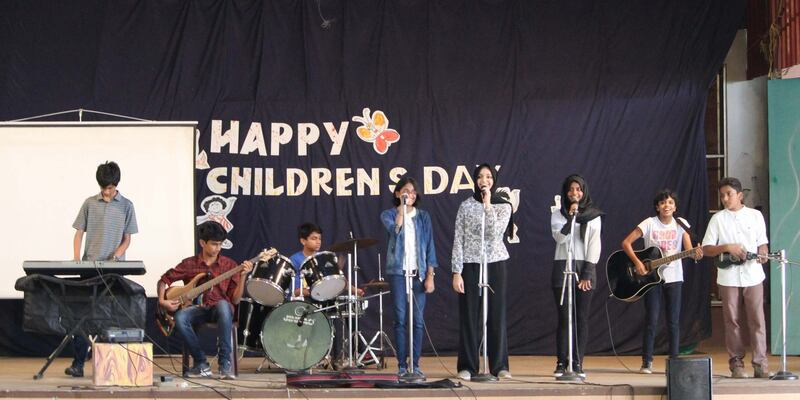 The students offered a flying start to the event by presenting a Western Music Concert. 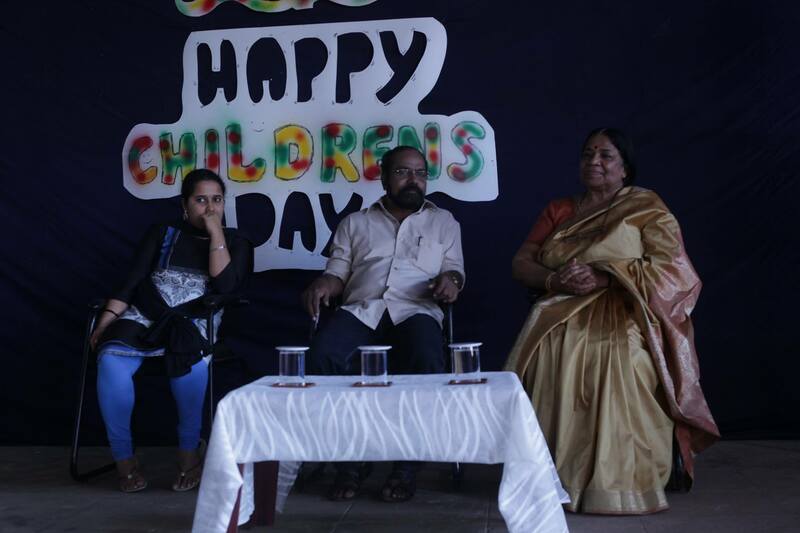 It was followed by a video presentation which was thought provoking to the children and reminded them the significance of celebrating children\'s day. Teachers and students showed their dancing moves amidst of thunderous applause and loud cheers. 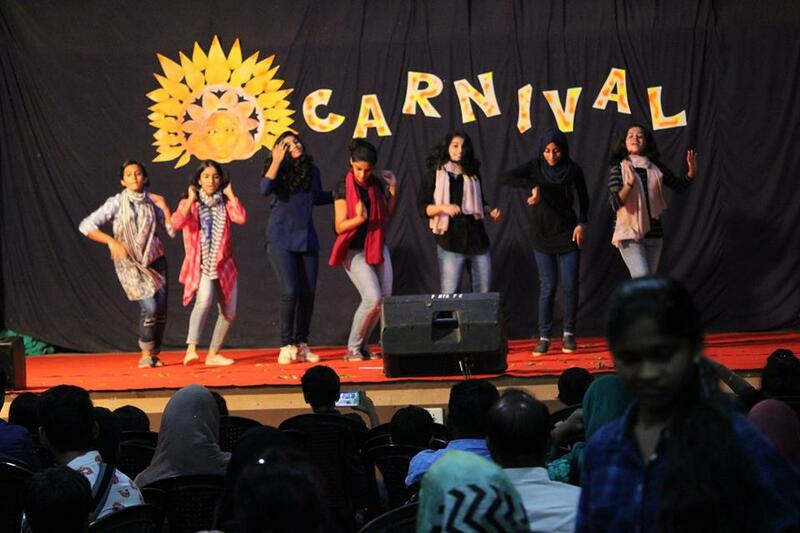 Teachers sang, danced and enacted onstage to make the morning memorable. 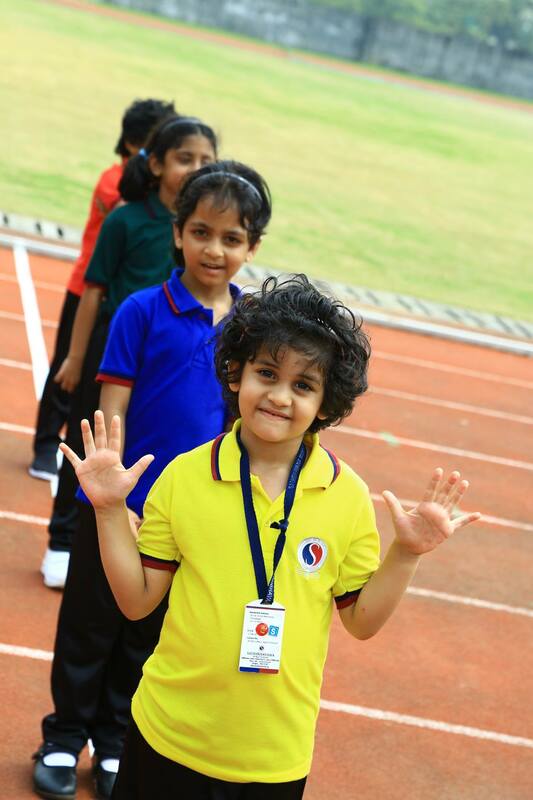 The students enjoyed all the events and there was a giggle on the face of every sadhbhavanite. Children were as happy as they received a surprise gift from the school a paper pen. 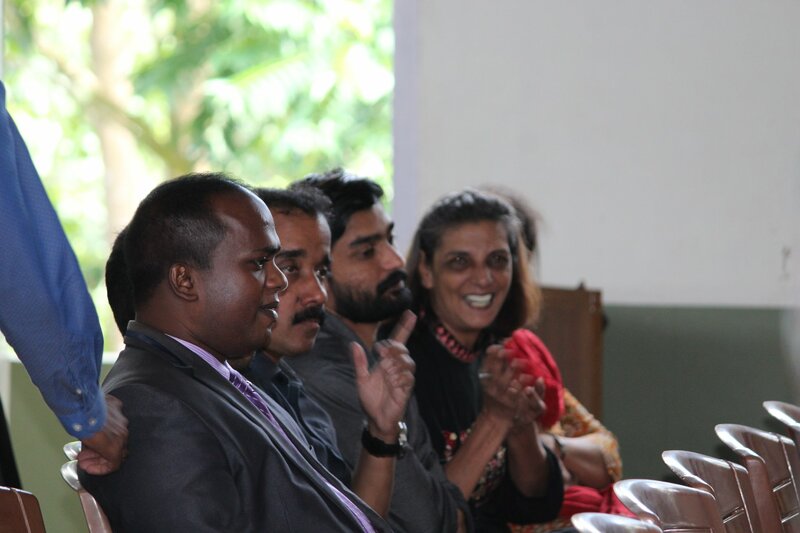 The program was concluded after Miss Asha P Unni proposed vote of thanks. 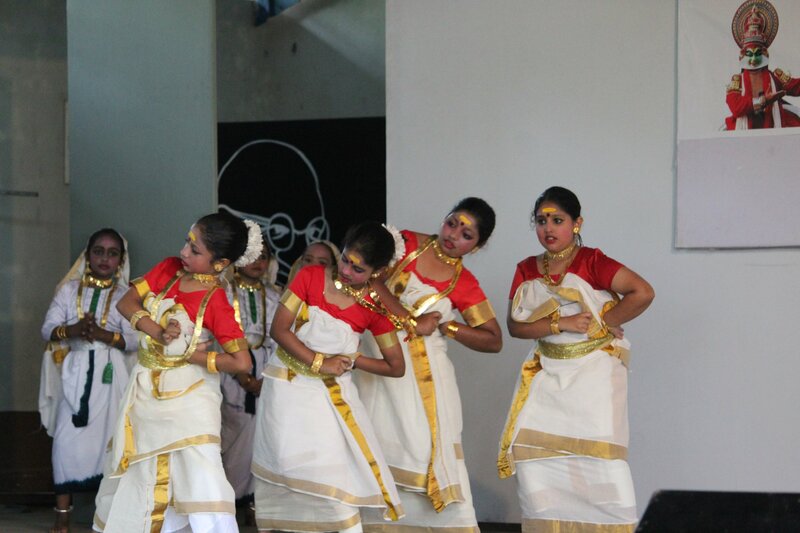 November 1st was celebrated as Kerala Piravi Day under the auspices of the Malayalam Department. 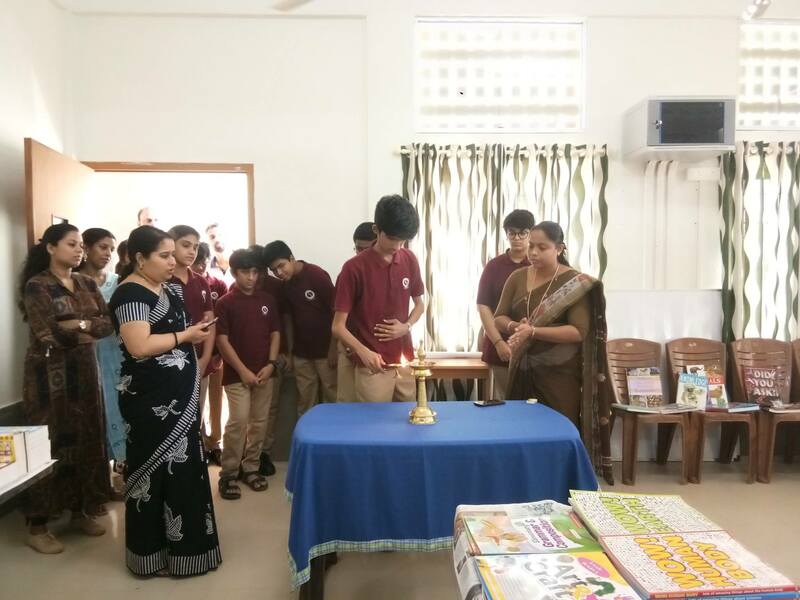 Sadhbhavanites inaugurated the occassion with welcome speech by Ahla Kader (7B), followed by the speech of our Head Mistress Ms. Sabitha. Enlighting the topic of keralapiravi continued by an inspirational speech by our honourable chief guest Ms. SHAHINA.K a youth writer. 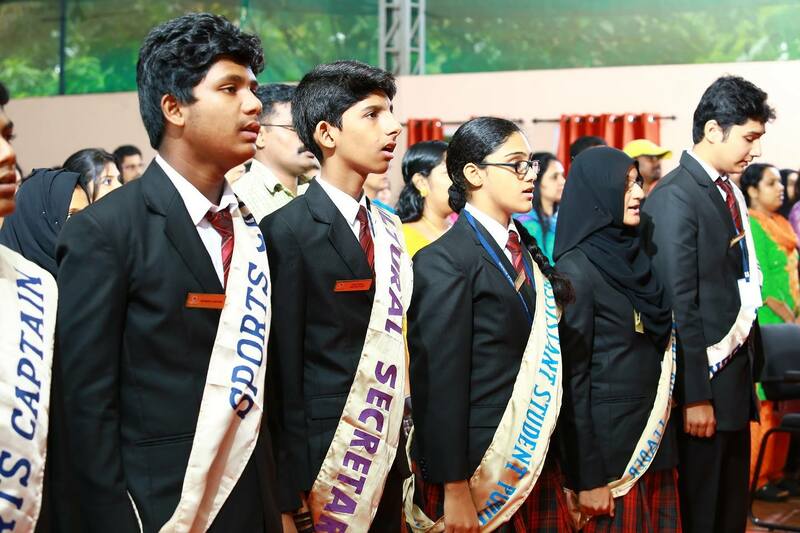 Sadhbhavana facilitated various prize winners of Malayalam vercification, co -ordinating with this occassion. 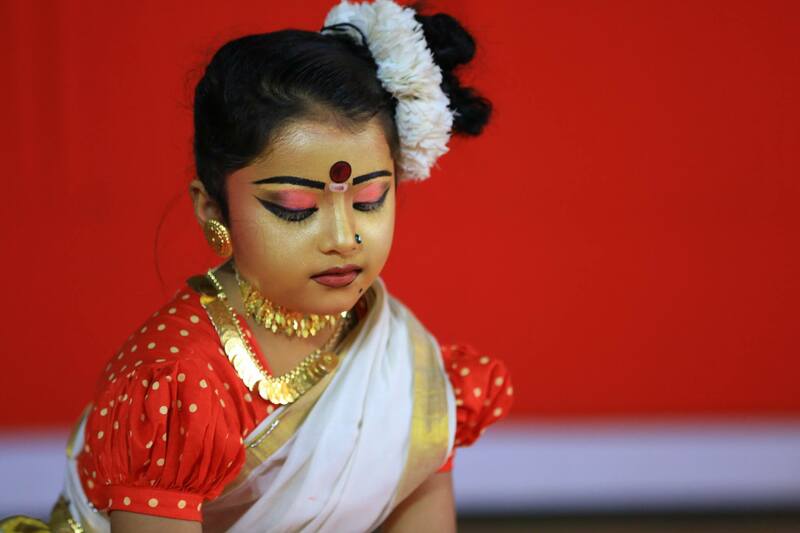 It was followed by various cultural programmes - Thottampattu dance, Welcome dance, Folk song, Recitations etc. 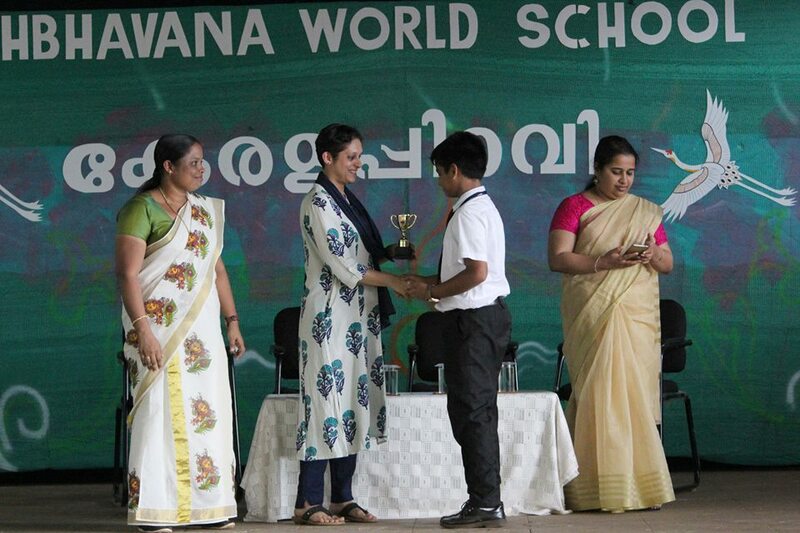 It was an edutainment programme ended with the vote of thanks by Aditya.S (7B). 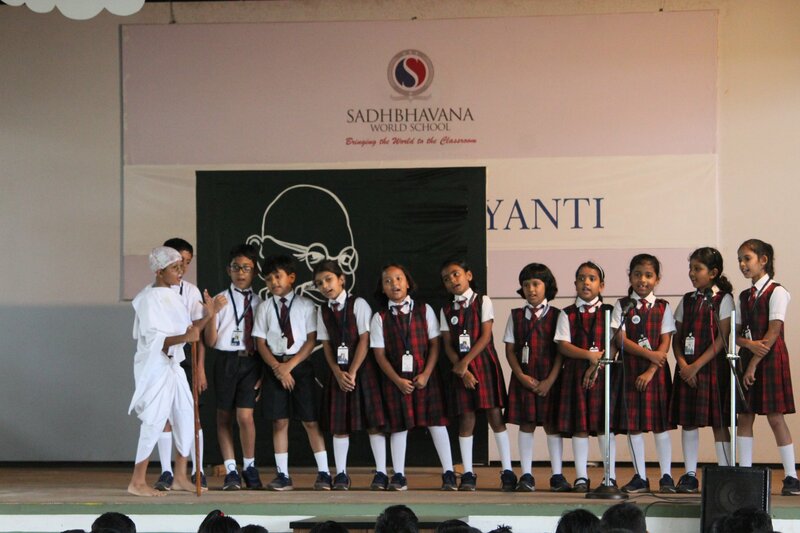 The school celebrated Gandhi Jayanthi on 3rd October. 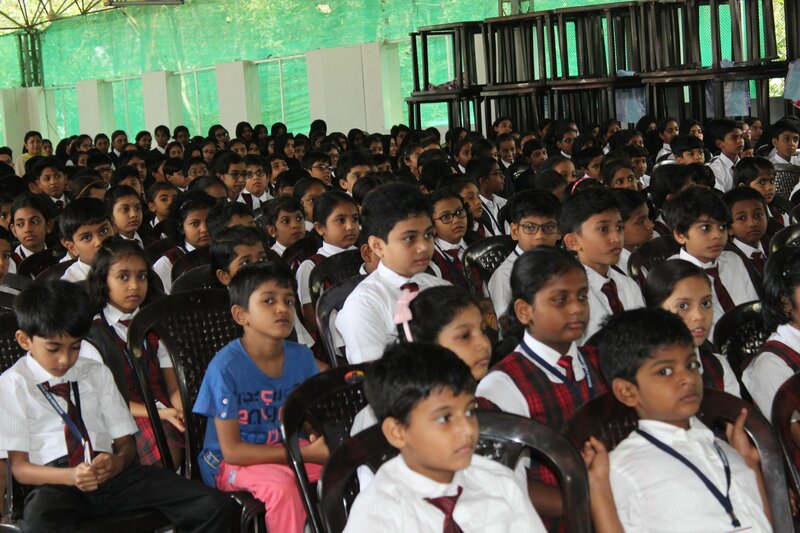 A special Assembly was conducted in order to instil the values and morals of our great Father of The Nation in students. 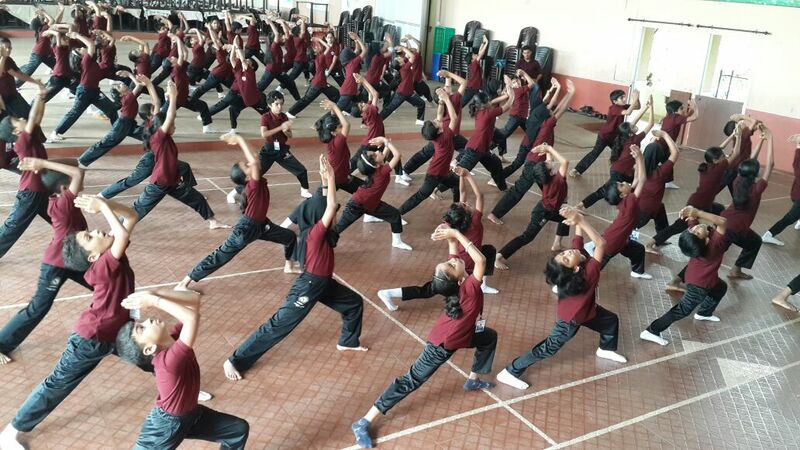 All the classes displayed a thought of Mahathma Gandhi in the class. 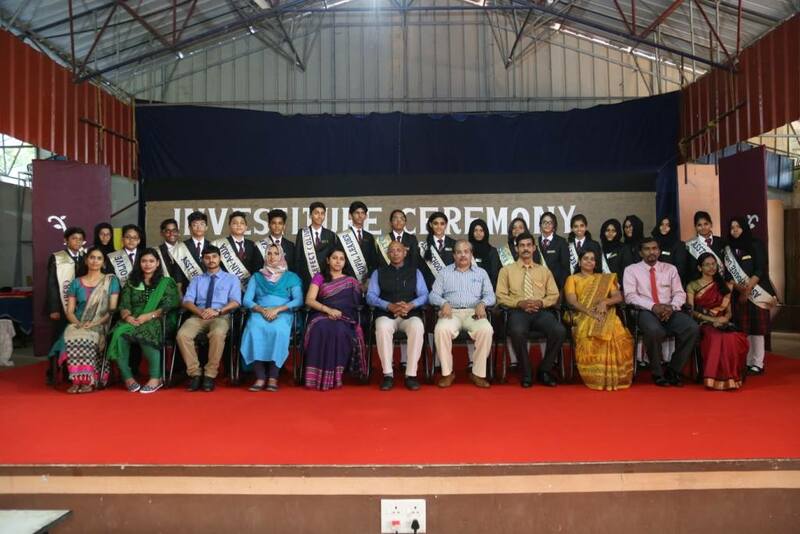 The Students delivered thought provoking and inspiring speech on the auspicious day. 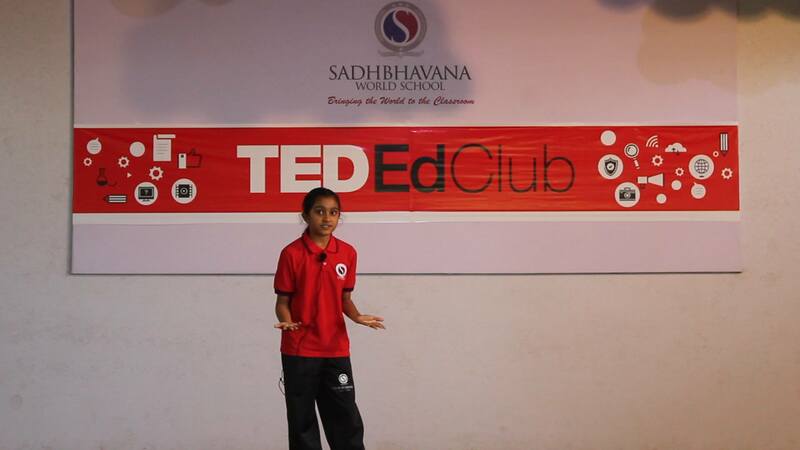 It was followed by an ensuing power point presentation that incorporated the life and the principles of Mahatma Gandhi. 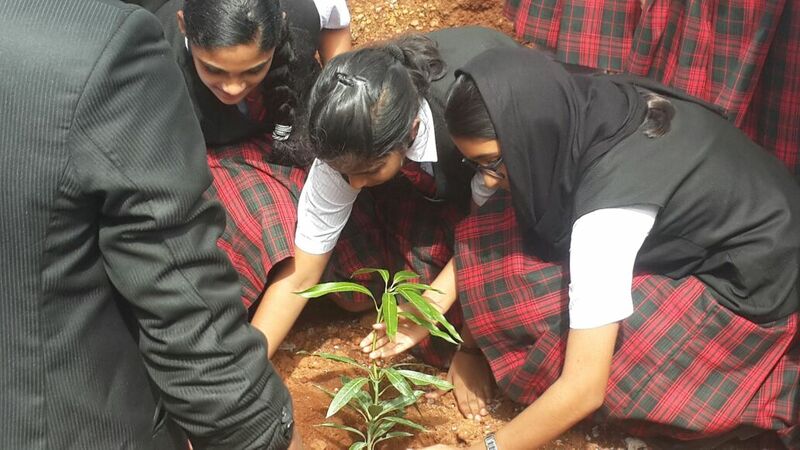 The initiative taken by students to be a part of the cleaning campaign was a striking part of the event. 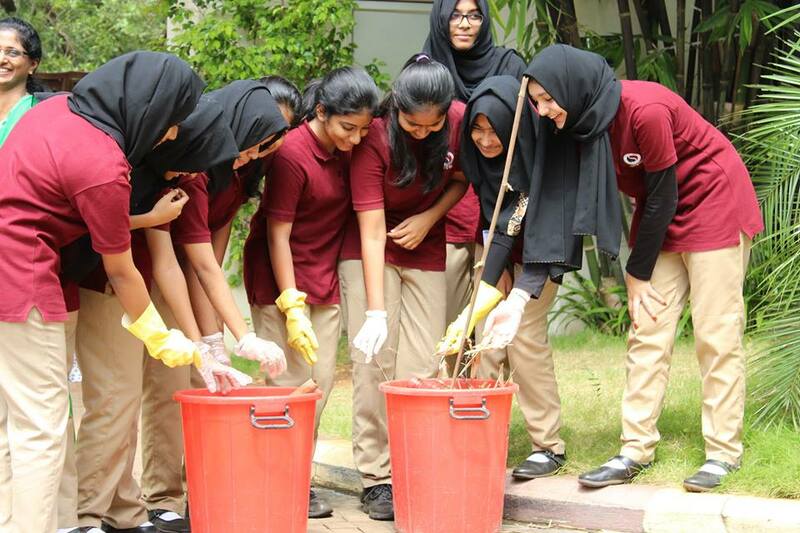 Each class was allotted a particular area and the students had the privilege to be a part of the cleaning campaign. 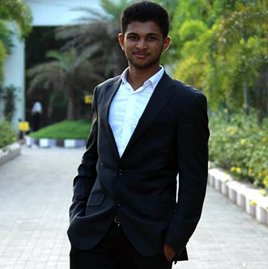 It helped the students in developing and realizing the service and commitment to the society. 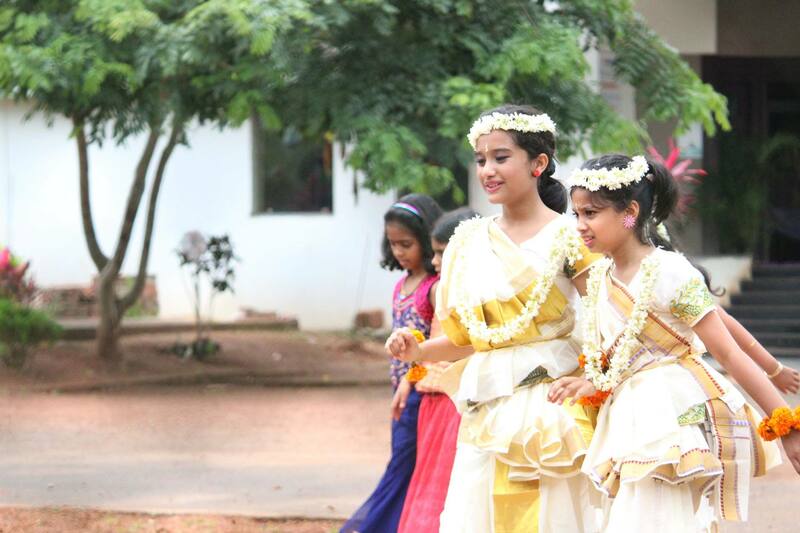 Onam celebration began with the floral carpet competition in each class. 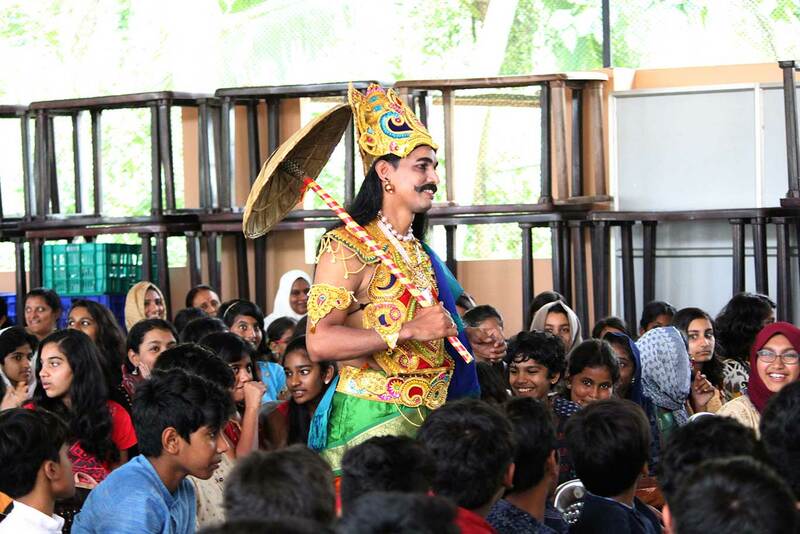 All the teachers, students and non – teaching staff were dressed up in traditional way. 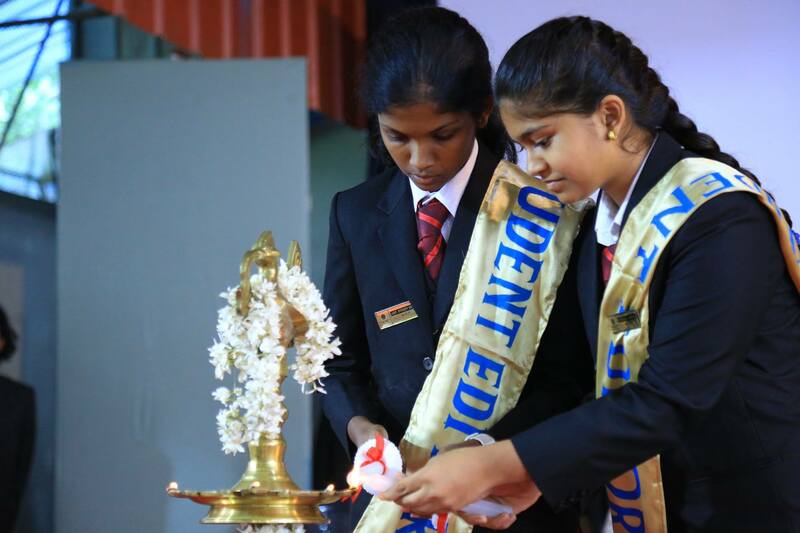 The stage program was inaugurated by Head of Operations Ms. Sushma Nalapat, Head Mistress Ms. Sabitha and Academic Coordinator Ms. Saritha by presenting dress and grain to “Onapottan”. 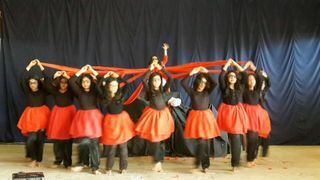 The programs on stage included a skit by the teachers with dance by the students and also dance by teachers and nannies. 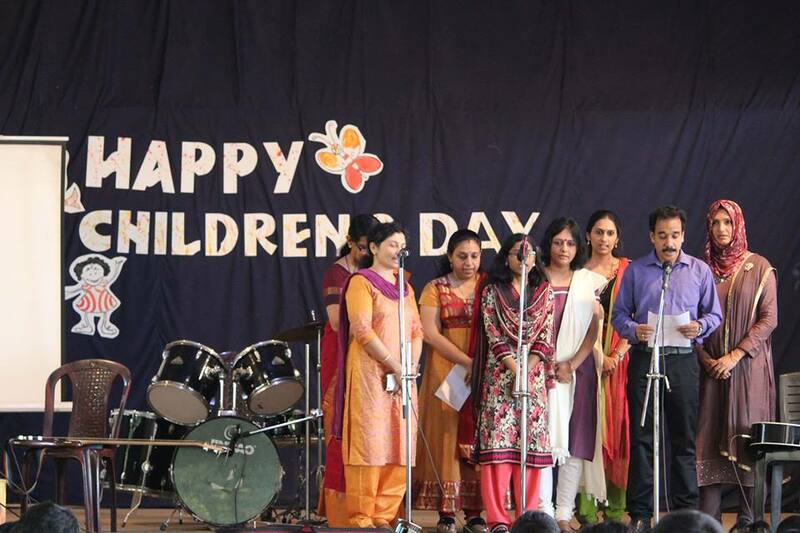 Teachers sang an Onam song. 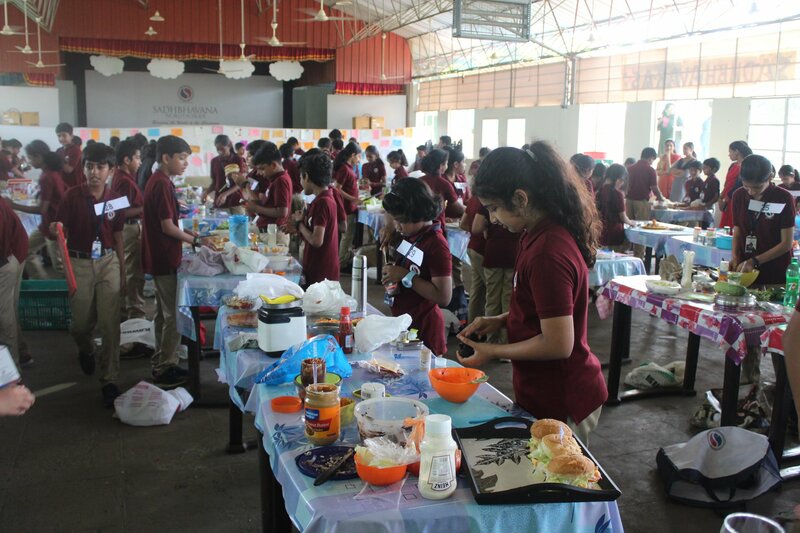 After the program, there was sumptuous Onam Feast where students and staff were actively involved in serving. 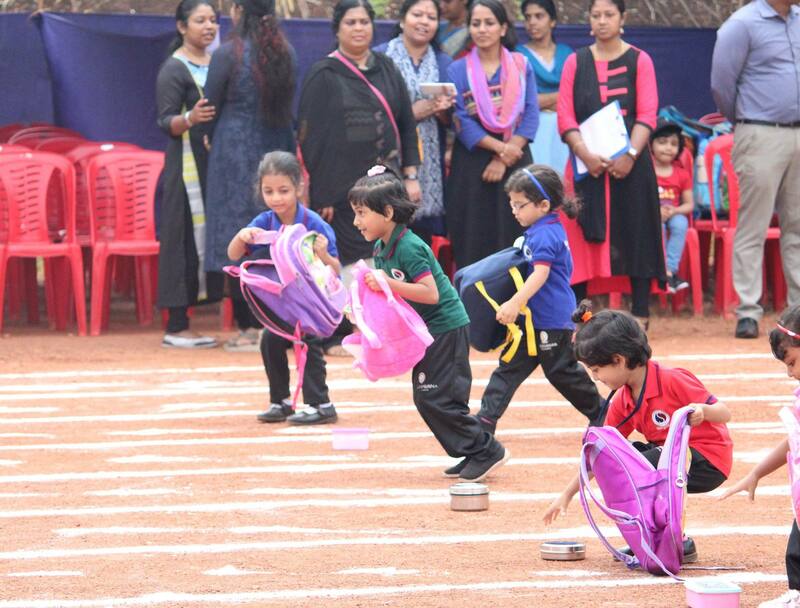 After the feast, there were games like Kalamudakkal and Vadomvali in which students participated enthusiastically. 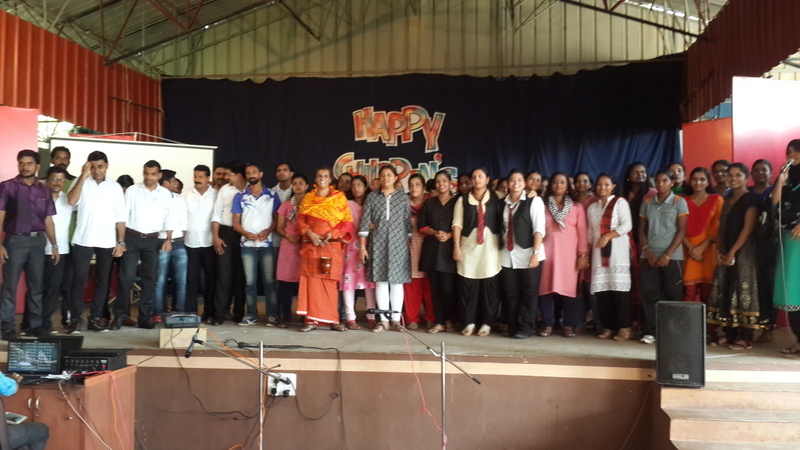 Teachers Day was also celebrated on the same day. The cards which the students made so painstaking poured to the teachers as gift. 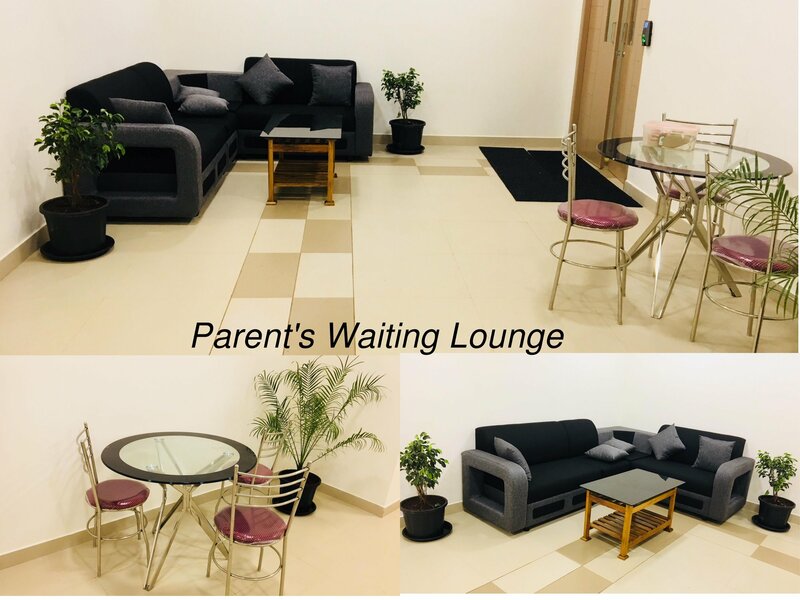 The management too gave a gift to the teachers who are touted to be the best under the sun relation with the Headmistress and battery of teachers and the management staff are at its peak. 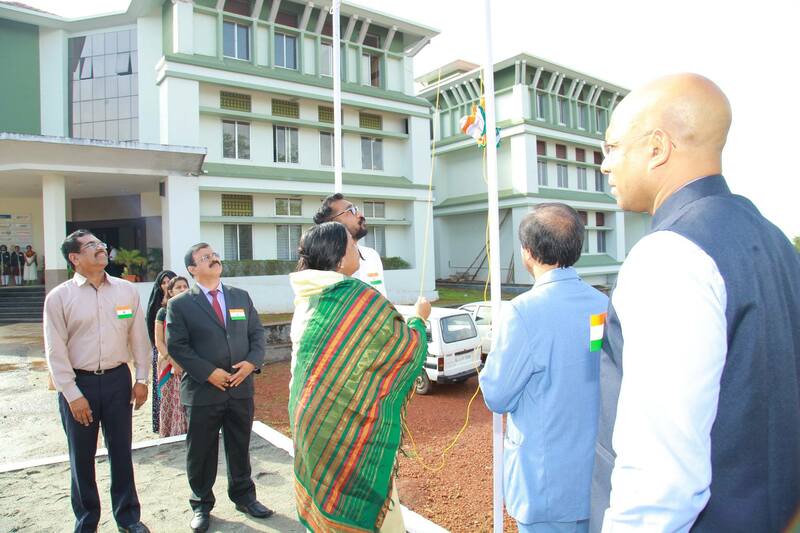 The ceremonial hosting of the National Flag was done by the Headmistress, Ms. Sabitha, Academic Coordinator Ms. Saritha, Head of Operations - Sadhbhavana Group , Ms. Sushma Nalapat. 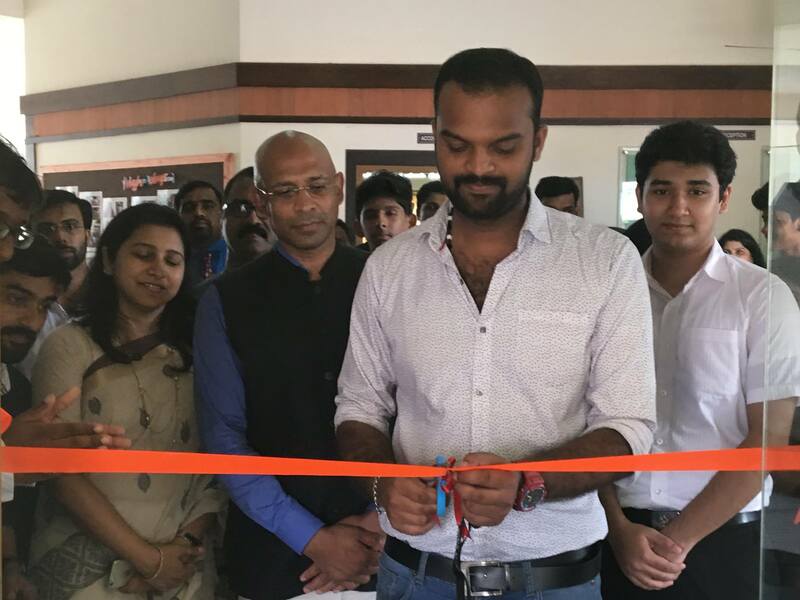 The main celebrant being the Managing Director of Sadhbhavana Group, Mr. Amir Ali Thayyil, CEO Mr. K. E. Harish making their presence felt. 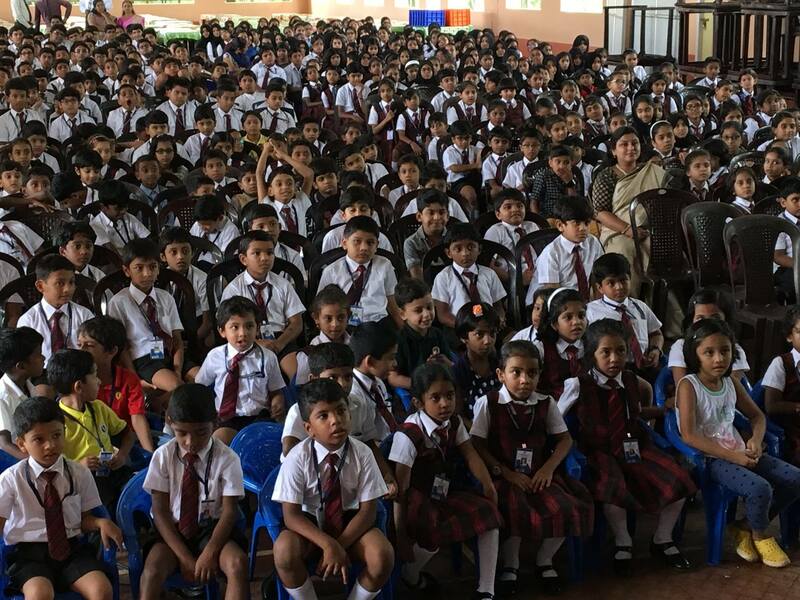 Academic Coordinator Ms. Saritha delivered the Independence Day message, which had such an inspiration and had such an impact on the battery of teacher and the students. 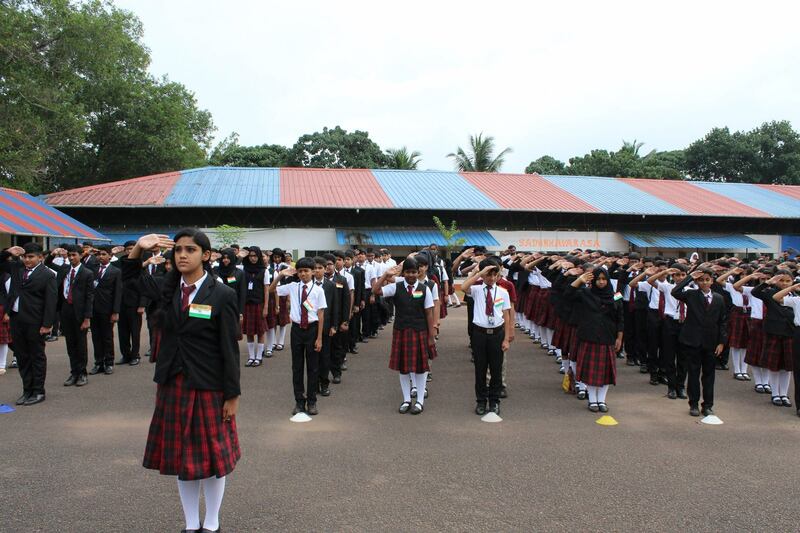 Flag hoisting was followed by mime, dance fusion and a video presentation which instilled the feeling of patriotism in students. 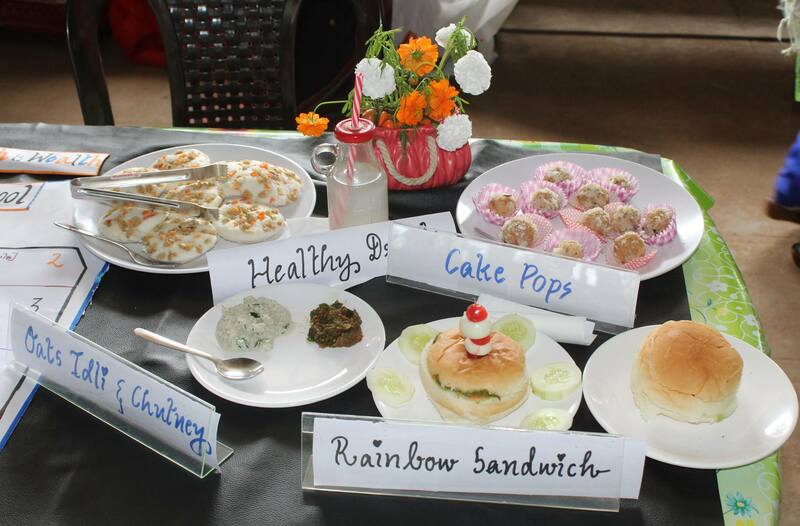 Sweets were given to all students. Academic Par Excellence Day was conducted along with Independence Day celebration on 15th August, 2017. With the increased involvement of parents the spectacle was a smash hit on. 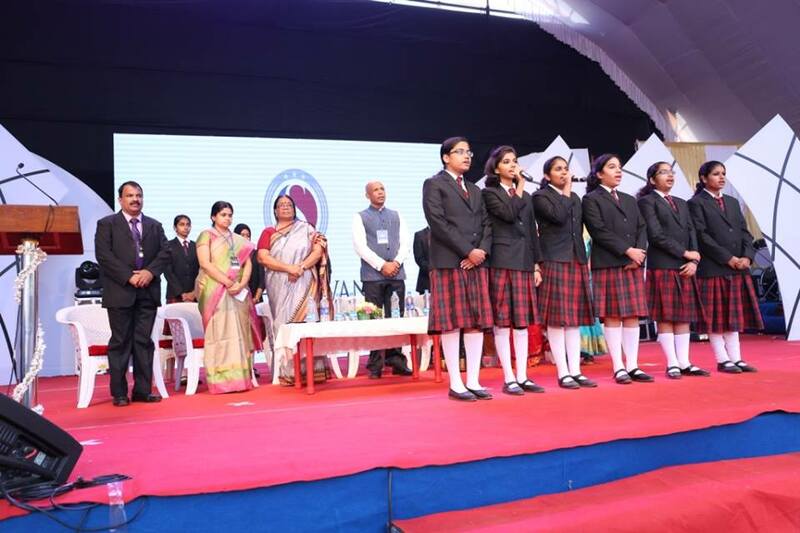 Well, trophies and credentials were presented to A Level and CBSE 10th passed out students who emerged out in flying colours in their examination and all the toppers of the previous academic year from grade 2 to A level. 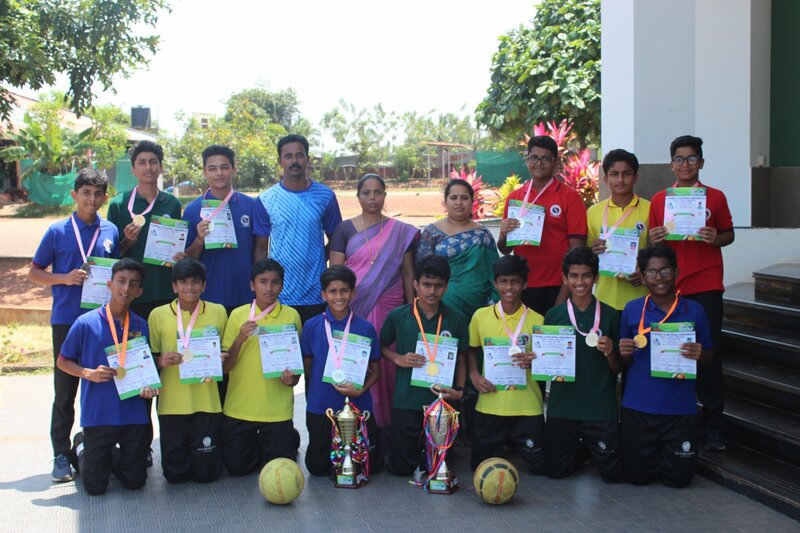 The awards were given by CEO, Mr. K. E. Harish, Managing Director, Mr. Amir Thayyil, Dr. Salim. 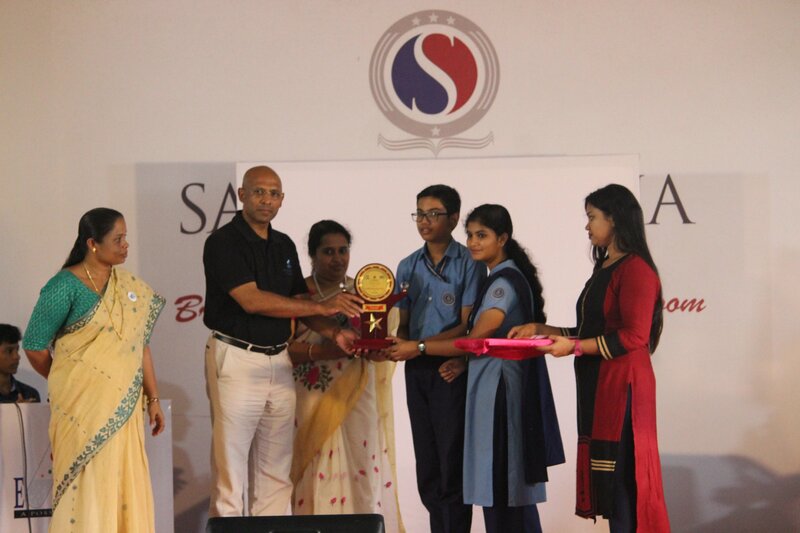 The Kalathilakam and Kalaprathiba awards for Sadhbhavarasa in each category were also presented to the students by the management. 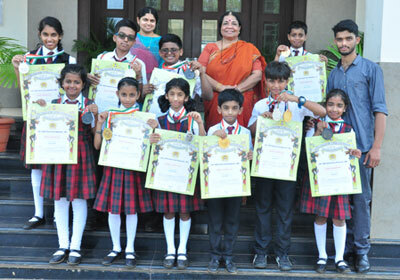 The certificates and trophies for other individual items were awarded to students by Head Mistress, Academic Coordinator and Senior Facilitators. 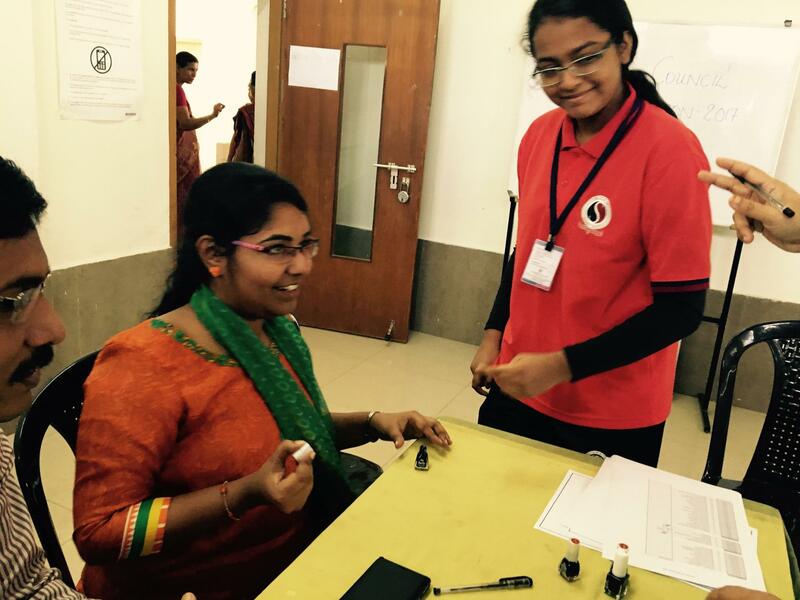 28th and 29th of July saw the charming and cheerful faces of students of classes 1 to A-level, as they celebrated the program,\" Sadhbhavarasa-2017\". 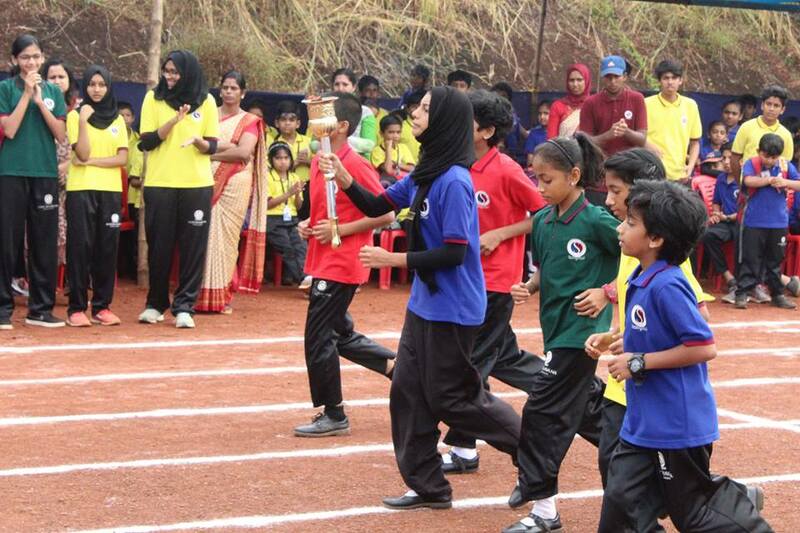 The students showcased their skills in various activities and compete to improve their ability. The program began with prayer and proceeded with the lighting of the lamp by our special guests- kalathilakam and kalaprathibas of last year. 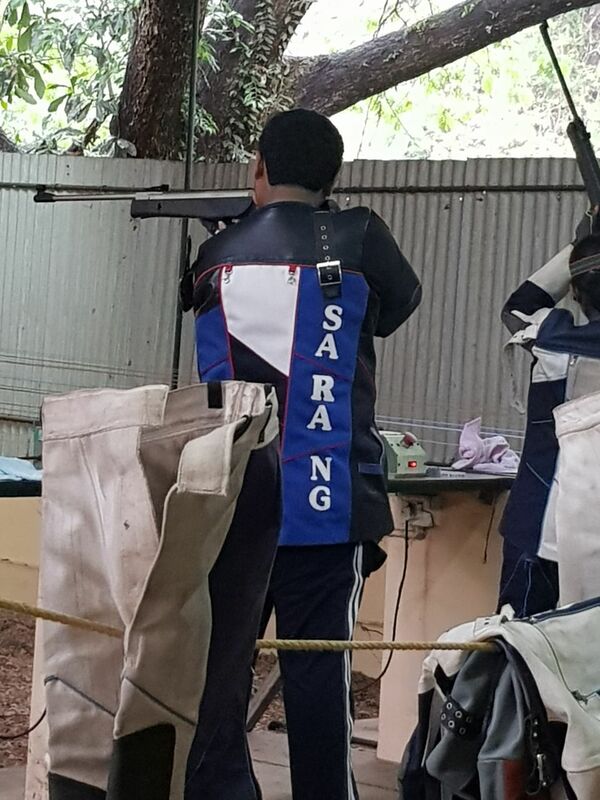 The competitions were held category wise. 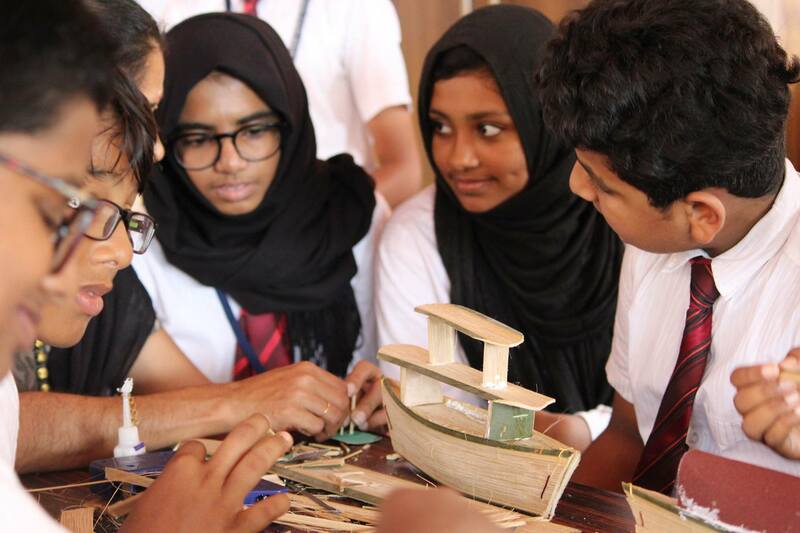 Systematic arrangements for organizing the competitions were made in 4 stages. This year Sadhbhavana introduced Digital Scoring, which is a stepping stone to next year\'s \"paper free Sadhbhavarasa\". 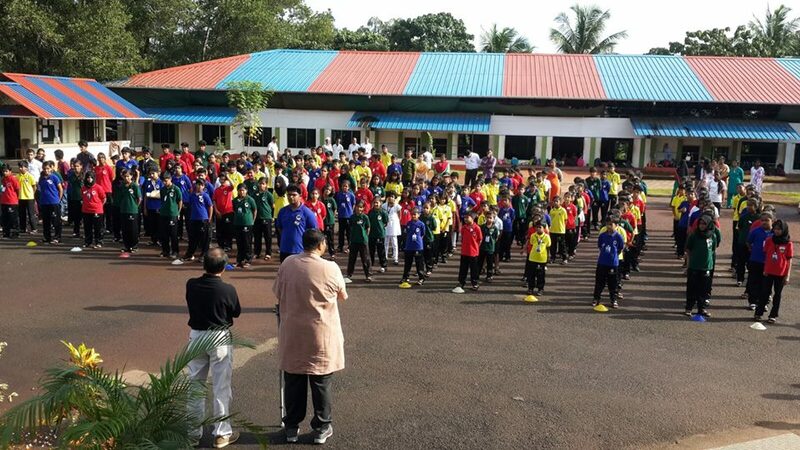 All the students had very healthy and tight competitions. 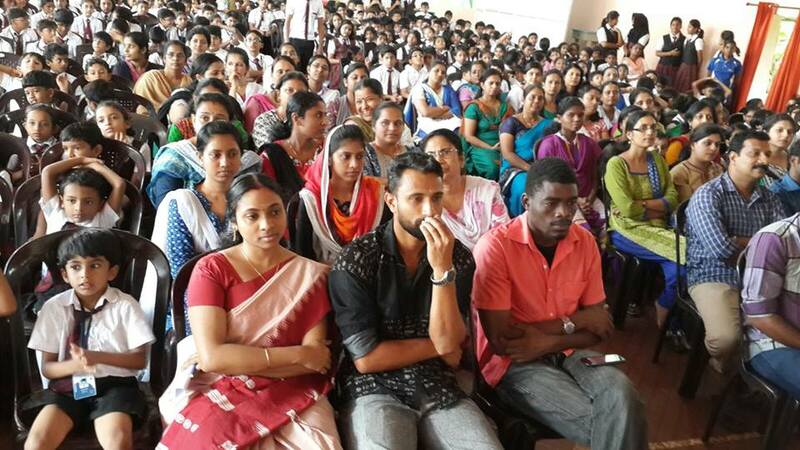 The event coordinators assured maximum participation from the student zone. 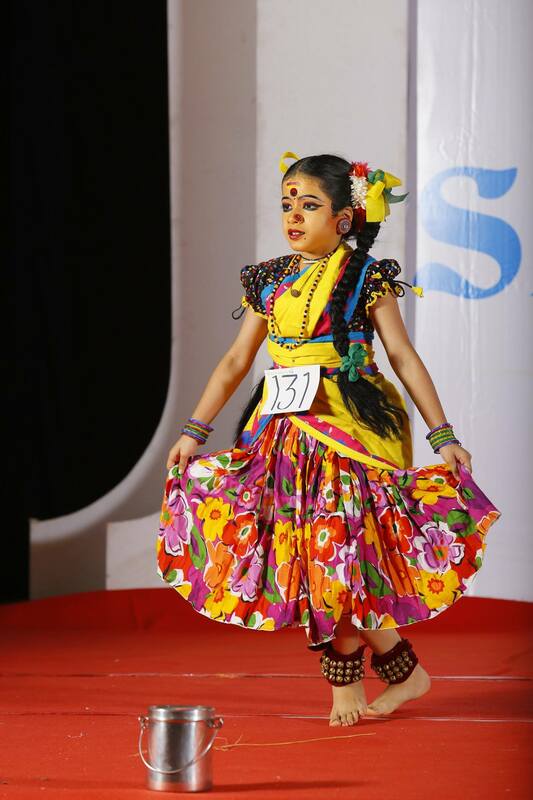 The colourful and fun filled events came to close with joyous dancing of our students. The Investiture Ceremony 2017 of Sadhbhavana World School was conducted on 30th June 2017 with great zeal and enthusiasm. This ceremony always marks a new beginning when the newly elected School Council takes charge of their office. The Multipurpose Hall wore an elegant look which was the visualisation of our Art Department. 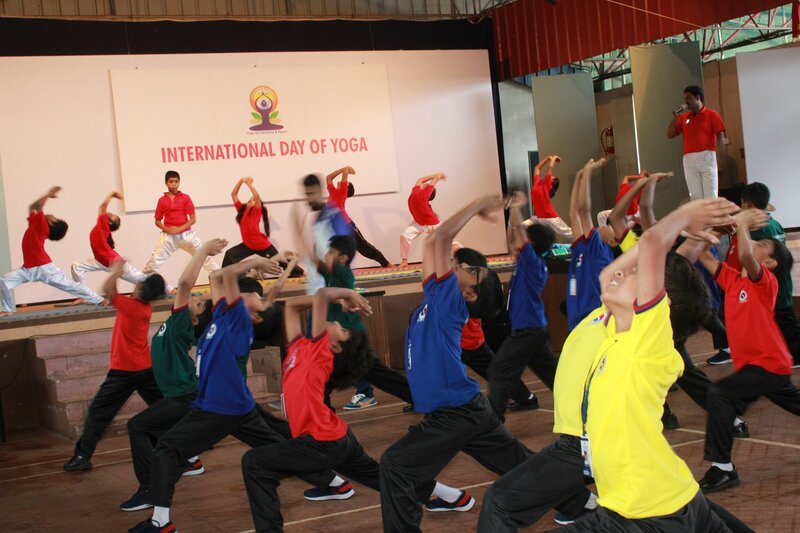 The whole school was gearing up for the function throughout the week with two or three run-throughs, band practice etc. 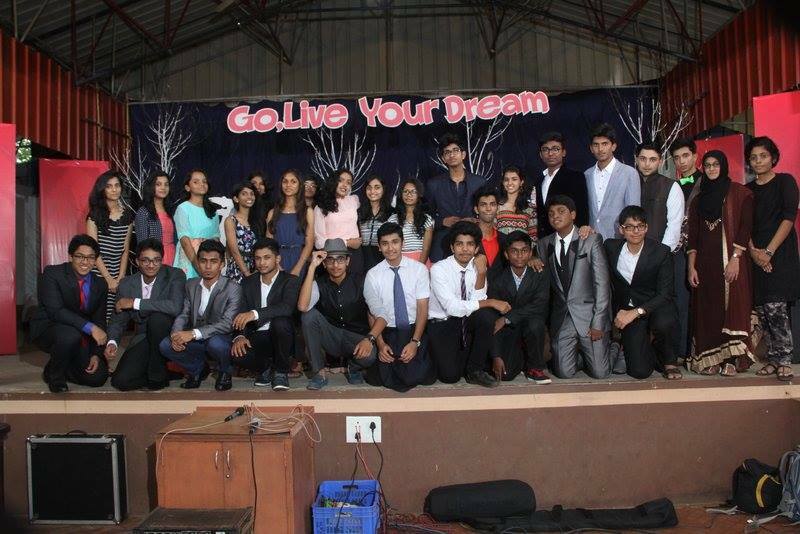 The students from grade 5 to A level attended the program. 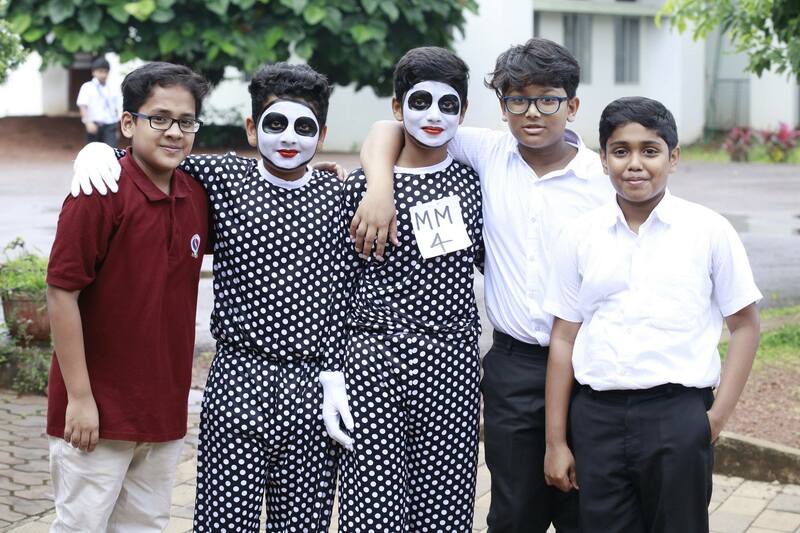 Sadhbhavana World School celebrated World Mud Day. 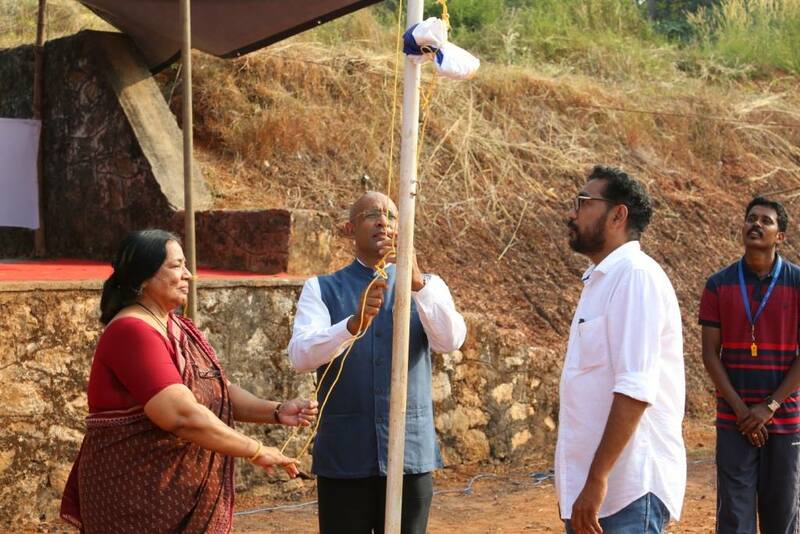 The program was inaugurated by the well known artist and art critic Mr. Manoj Unnikrishnan. 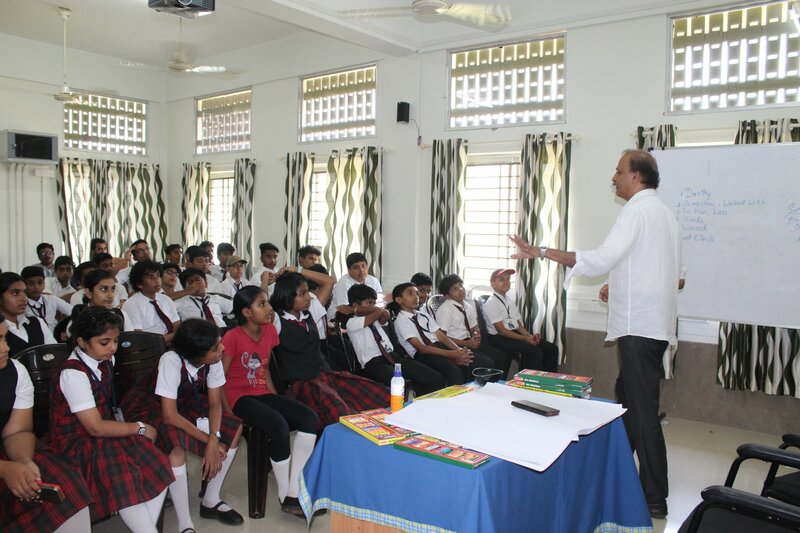 The CEO Mr K. E. Harish delivered the message for the day to our students. 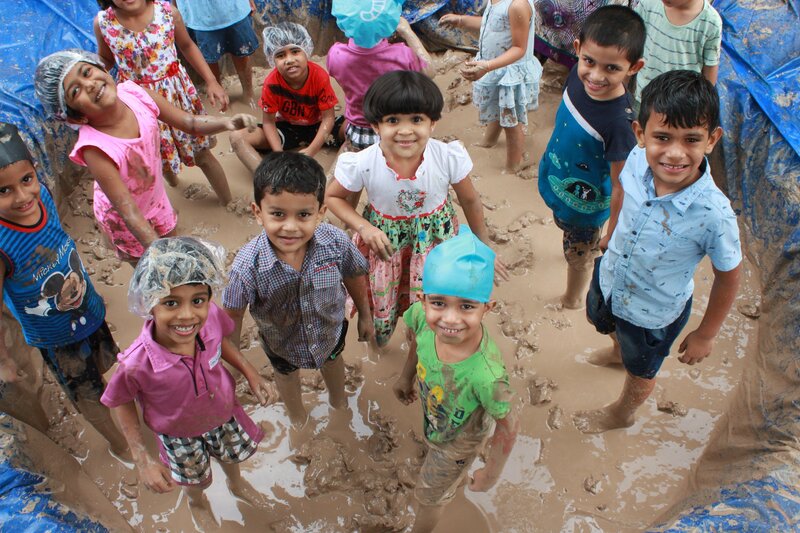 All the participants made different shapes and figures using Mud and this turned the occasion meaningful. . 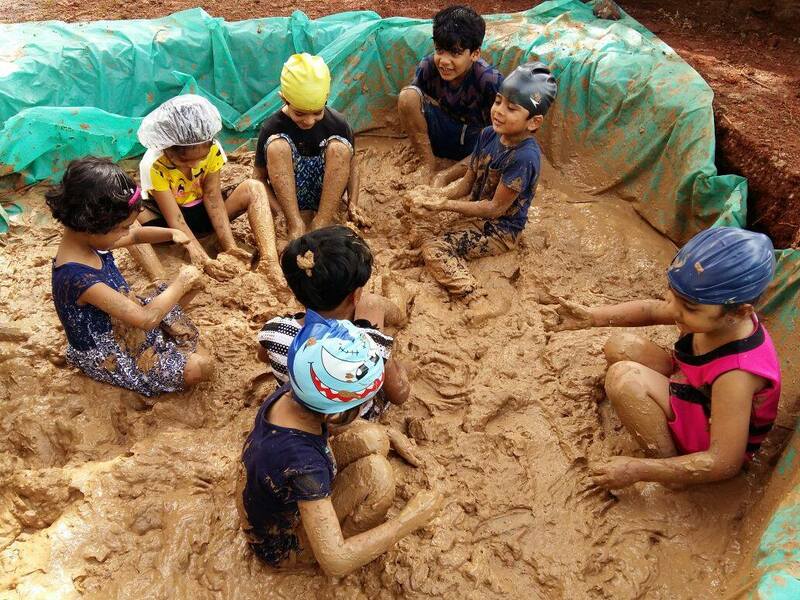 Since the Interna­tional Mud Day is a day dedicated to celebrating nature, the outdoors and getting muddy around the world, The Sadhbhavana Little Scholars’ students en­joyed the day playing in a pool of mud and getting “really muddy”! 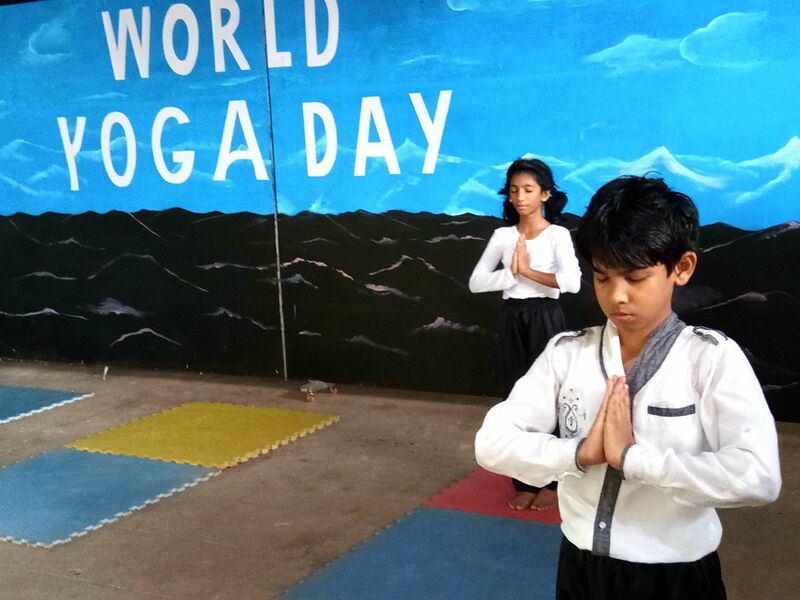 Sadhbhavana World School celebrated World Yoga Day. 192 nations, the word over labelled it as celebration, just for the rapture by pumping yoga regularly. Right now since things going to be relevant stuff, we sadhbhavanites too had a spontaneous outburst of unrestrained cheer. 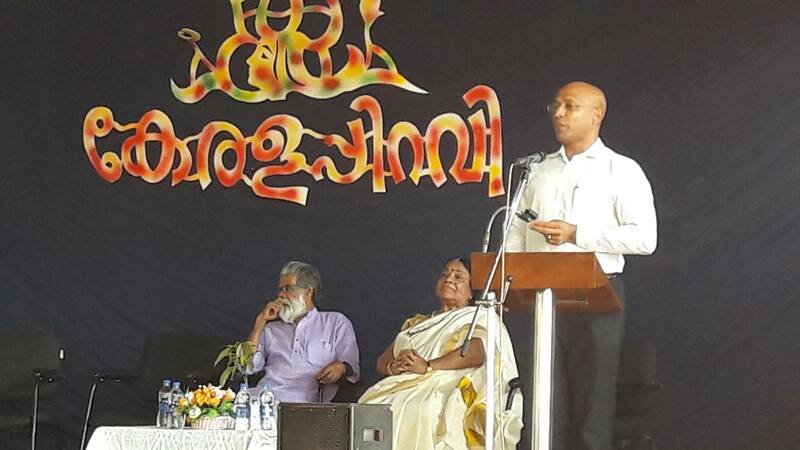 The program started at 9:20 am and the function was inaugurated by the famous literary icon Mr V.R Sudheesh. The function was in the limelight with the launch of the Bookfest organized by DC Books. The event concluded at 10 am. 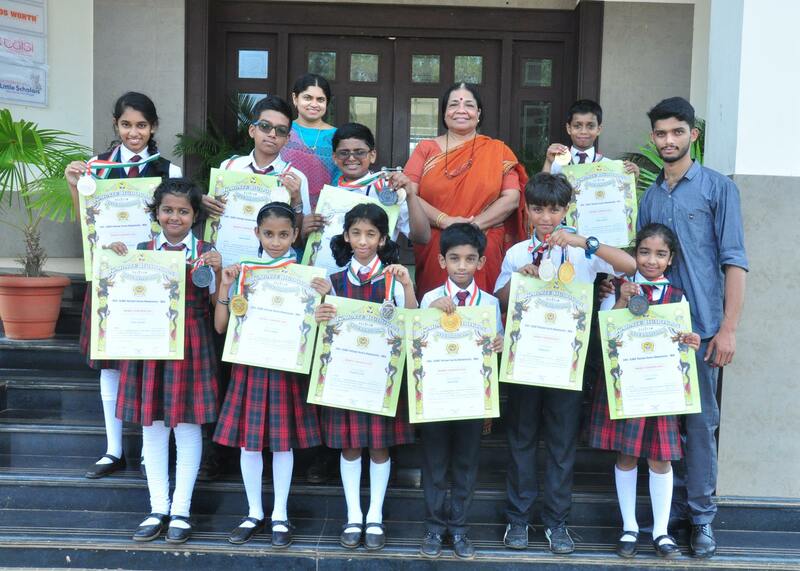 The selected students of grade 4-7 had the privilege to receive prize from the honourable chief guest for the reading contest conducted in the class. The library of our school appeared as a different world of books with the Candle Light Reading . 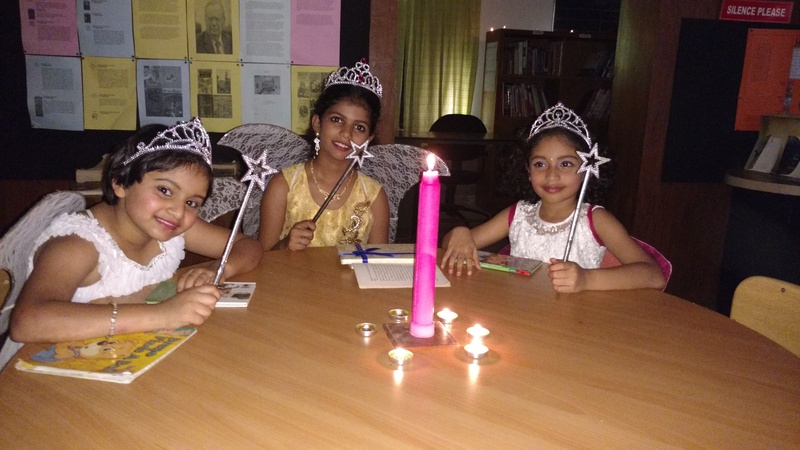 The students were welcomed by the fairies and the famous story characters like Harry Porter and Wimpy Kid.The students witnessed the school’s values in action through the tremendous effort put forward by the library team. 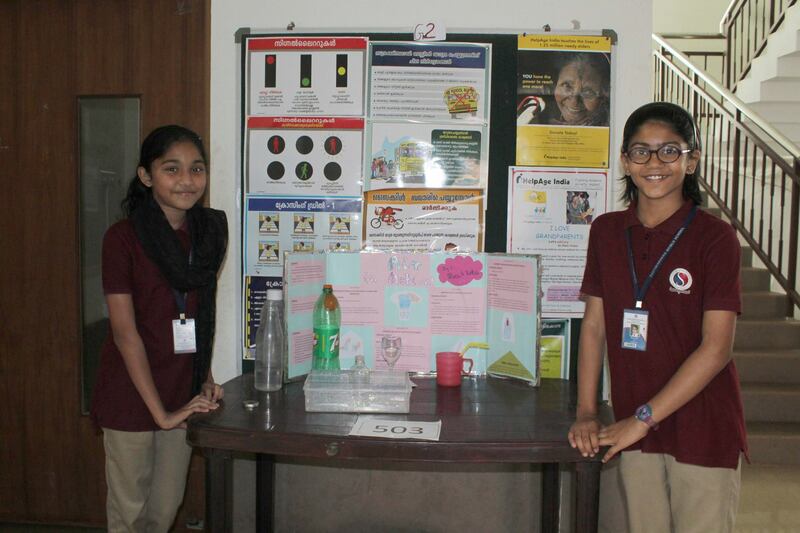 World Environment Day was observed on June 5th at SadhbhavanaWorld School with full enthusiasm by the students and other members of the Sadhbhavana family. 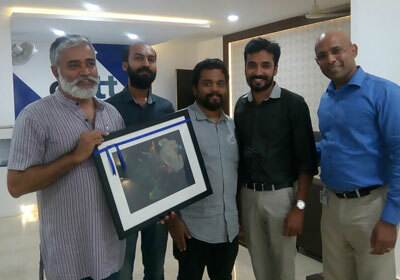 The inspiring speech of the chief guest, Mr. C. Manikandan , Regional Manager( Mathrubhumi ) and Mr. K.K Vinod Kumar, Chief Librarian ( Mathrubhumi Group ) added to the resolve of the students to be more aware and connect with the environment , not just on that day, but all through the year. 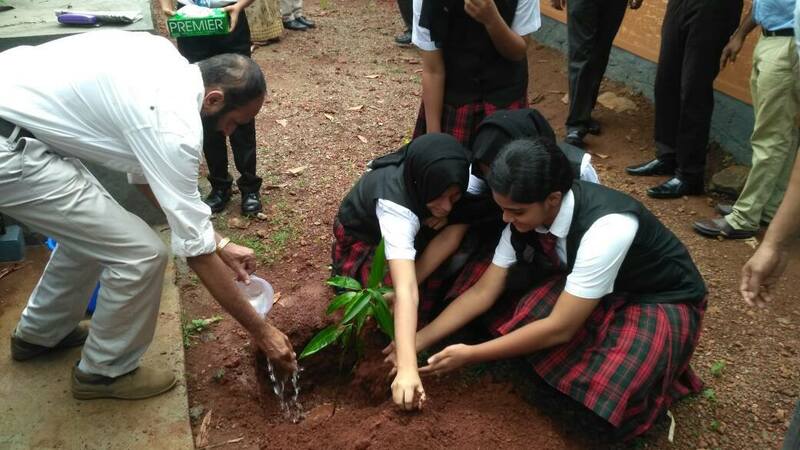 The HARITHAM-SEED project at SWS was inaugurated by Mr.Manikandan, with the distribution of saplings to the student representatives from Grades 4 to 9 . 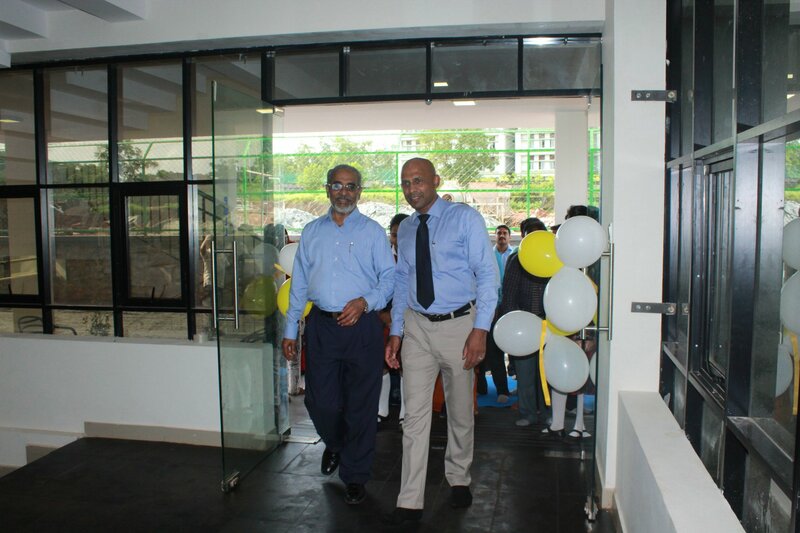 Mr.Vinod Kumar did the honours of inaugurating the Bodhi Statue on the campus. Nature Club students of the school also got a chance to learn about wick irrigation, water management and terracing from the experts of CWRDM. 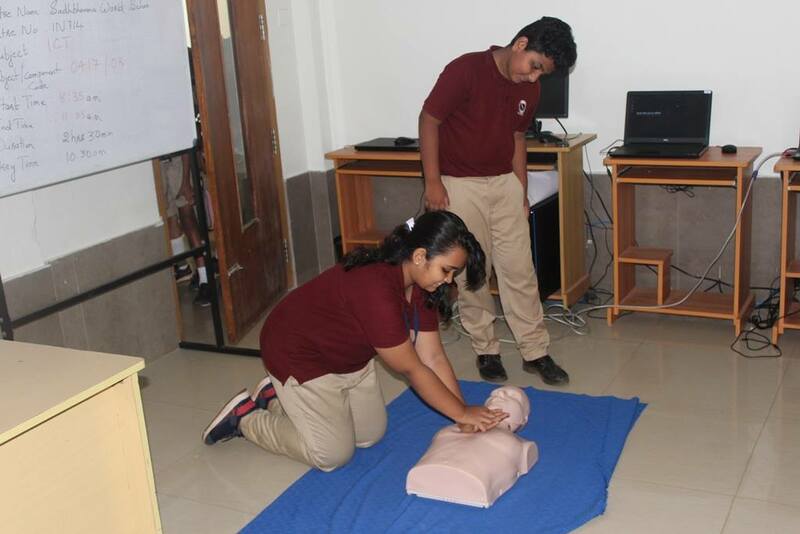 All in all, it was a very informative experience for the students. 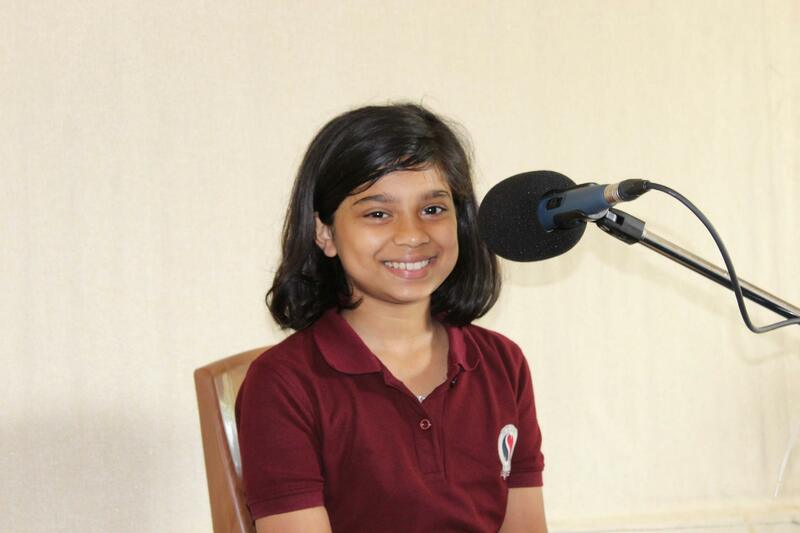 Sadhbhavana put forward the School Radio Doodle, which boost up the energy and confidence level of students. It helps developing on the spot speaking skills. 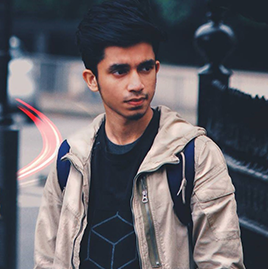 In order to make the students aware of the current affairs, school radio plays a major role. 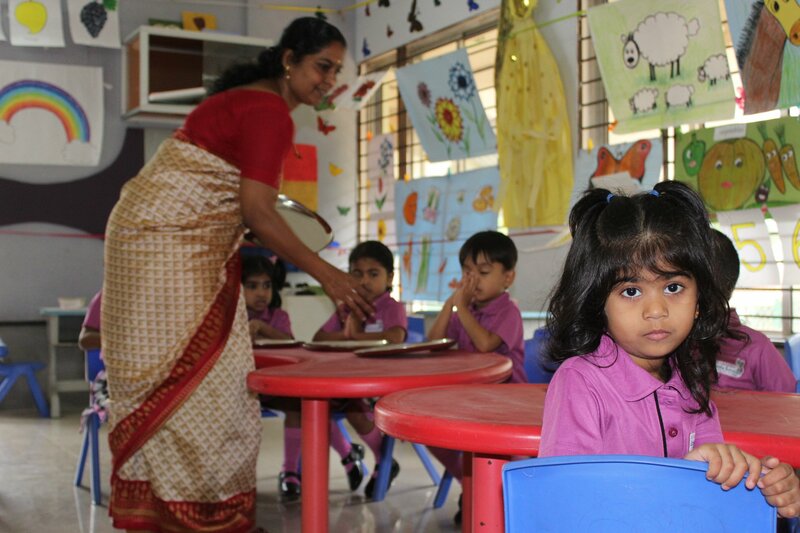 It also brings out the potential in each child through varied range of programs. Out of 10 years of existence, Fifth consecutive year... being ranked as one of the TOP 10 schools in India. 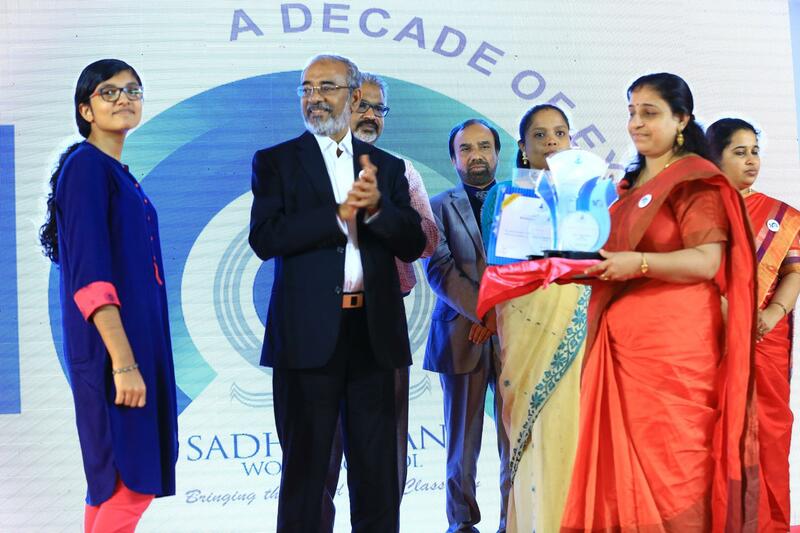 No:1 in Kerala..This time it is a cherry on ice as Sadhbhavana has been listed as one of the TOP 25 ELITE Schools in the country for innovation and resources by USA based Research and technology organisation Named Edfinity. 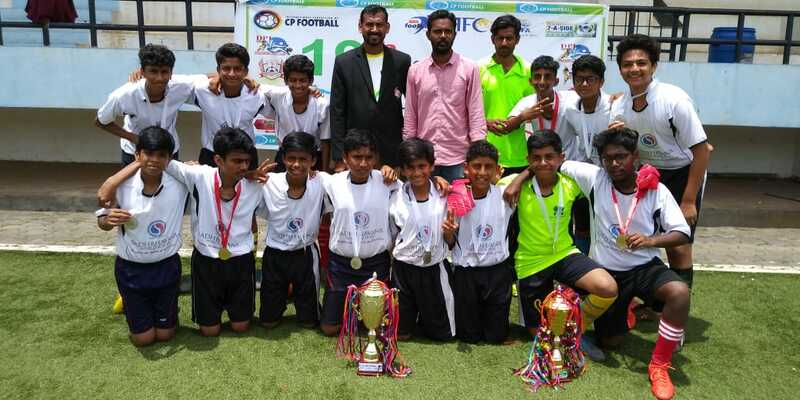 Sadhbhavana World School students won First Place - Under 16 & Runner Up - Under 14 in 19th National 7-A Side Football Championship-2018 held on 5th - 7th September 2018, Goa organized by 7-A Side Football Federation of India Under the Auspicious Asian 7-A Side Football Federation. 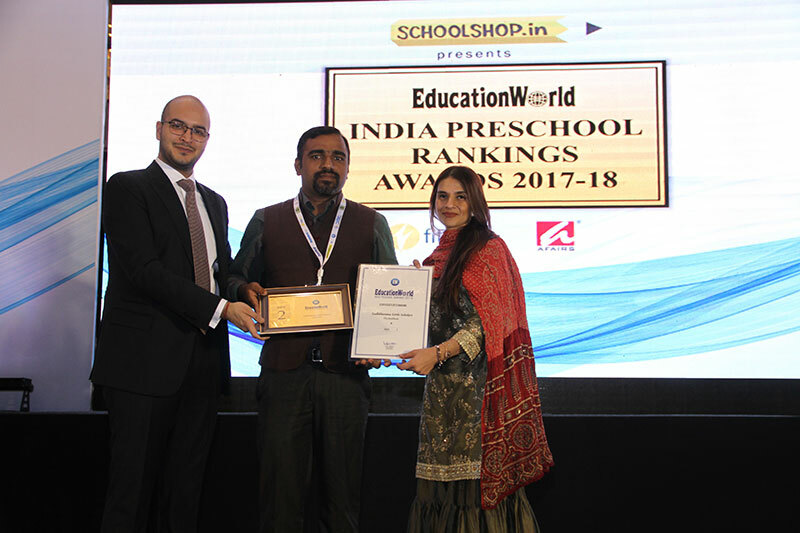 Sadhbhavana World School has been ranked as one of top 10 schools in the EducationWorld India School Ranking 2017. 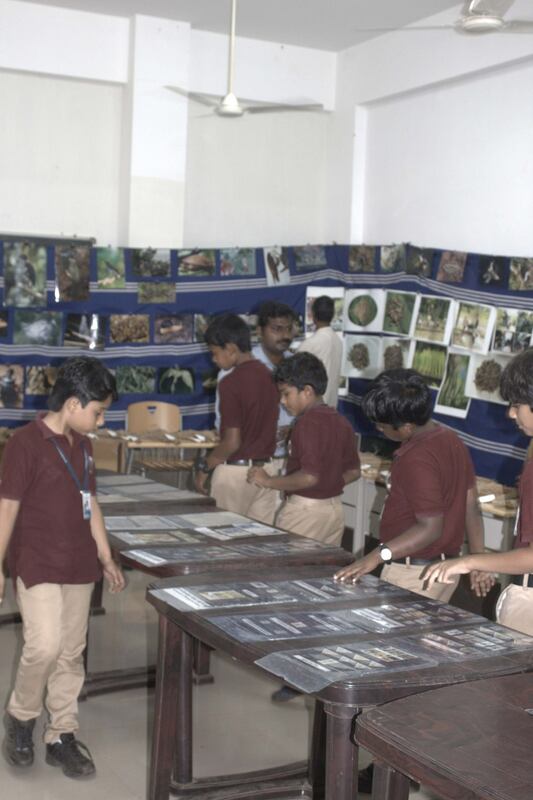 The school is ranked No.1 in Calicut city and in Kerala state as well. This is not new by any stretch. Sadhbhavana has got the round of reputation for that bit of matter. 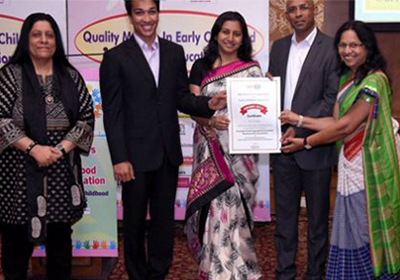 Authentically institution is prestigious and 8th in the country and as in internationalised school category. Last year we raised our head in the 9th position. 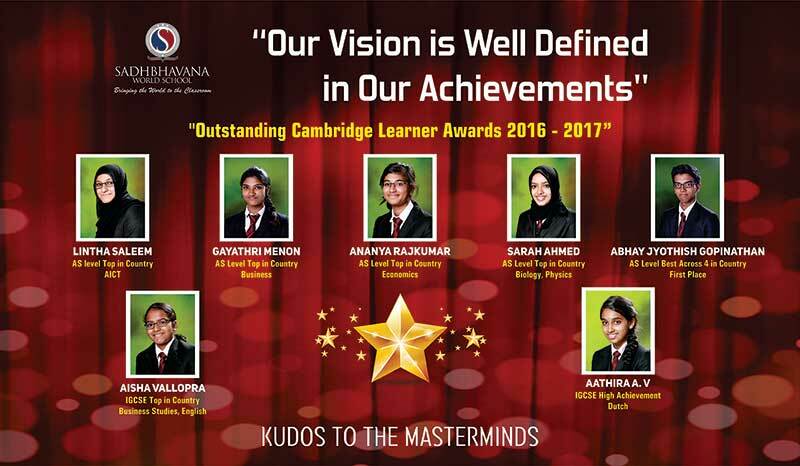 Students from Sadhbhavana World School have won top academic award from Cambridge International Examinations (CIE) for their exemplary performance in selected subjects in the CIE (Grade 10 and 11) exams. 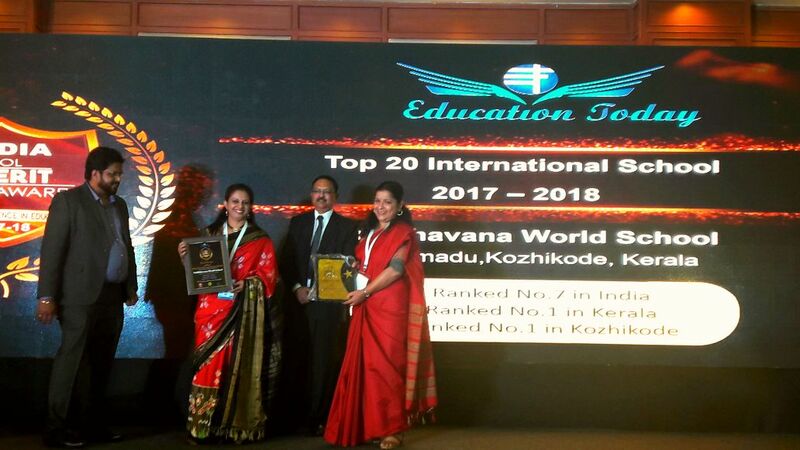 Sadhbhavana World School has been Ranked No.7 in India, No.1 in Kerala & Ranked No.1 in Kozhikode - Category- 'India's Top 20 International School in a survey conducted by EducationToday.co. 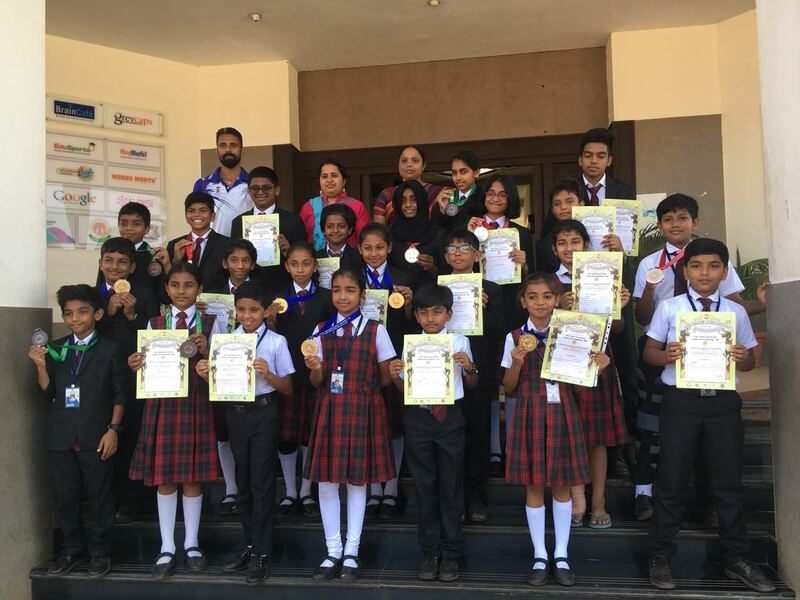 Sadhbhavana World School students won the overall National Championship in the recently held Budokan Karate Championship at Bangalore. 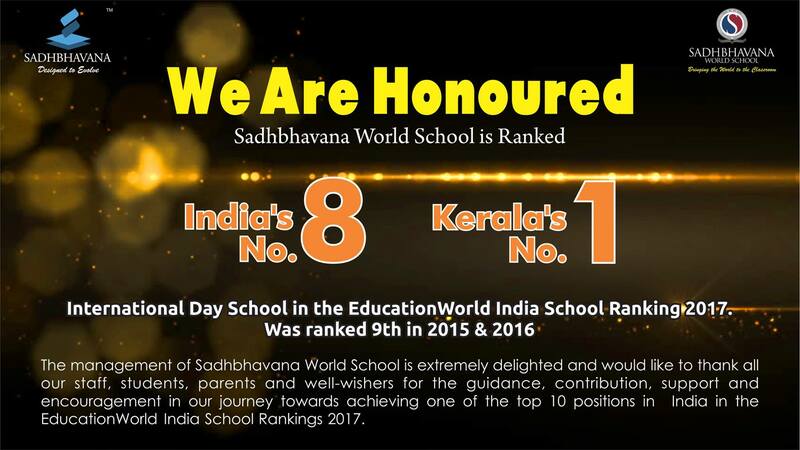 Sadhbhavana World School has been ranked No. 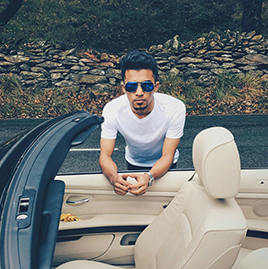 5 in India, No. 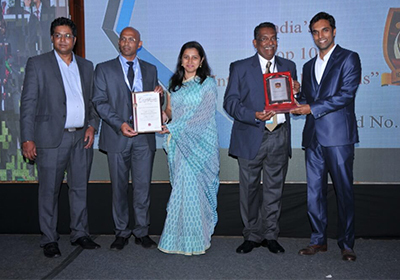 1 in Kerala & No.1 in Calicut as India's Top 20 international Day School in EducationToday India's School Merit Award, 2016. 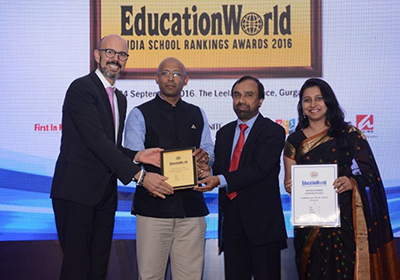 Sadhbhavana World School has been ranked as the 9th best international school in the country in the EducationWorld India School Ranking 2016. 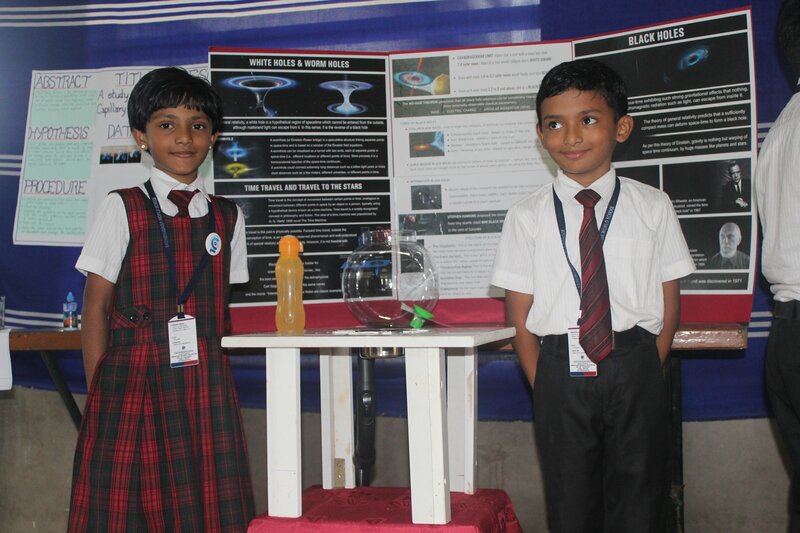 The school is ranked No.1 in Calicut city and in Kerala state as well. It is the second year in a row the school is ranked 9th in the ranking. 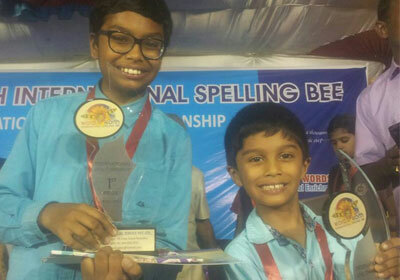 Arjun Hemachandran (Category 6) and Abhay Hemachandran (Category 1) have bagged the first prize in the International level of the Wordsworth Spelling bee contest, 2015-16 held at Erode. Miss. 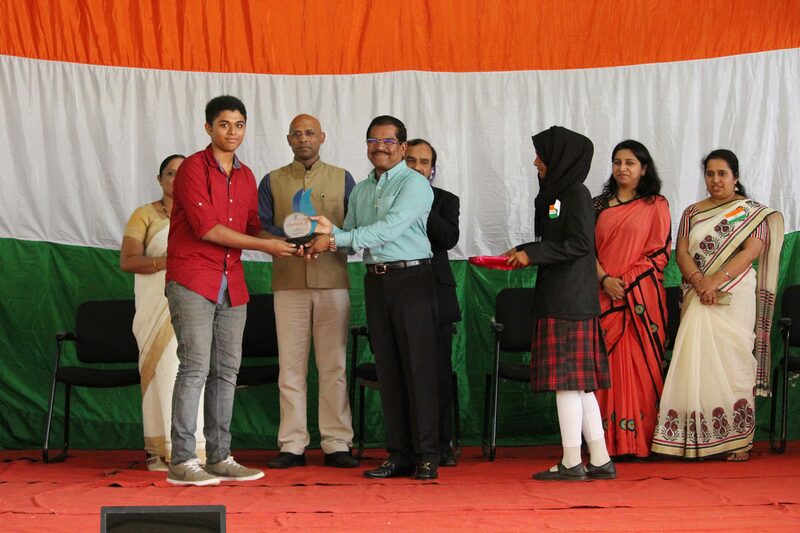 Athira Aravind Vellayani, of 9th grade has earned the singular distinction of winning a silver medal in the "6th WUKF World Karate Championships for all ages, 15th -19th June Dub-lin, Ireland". 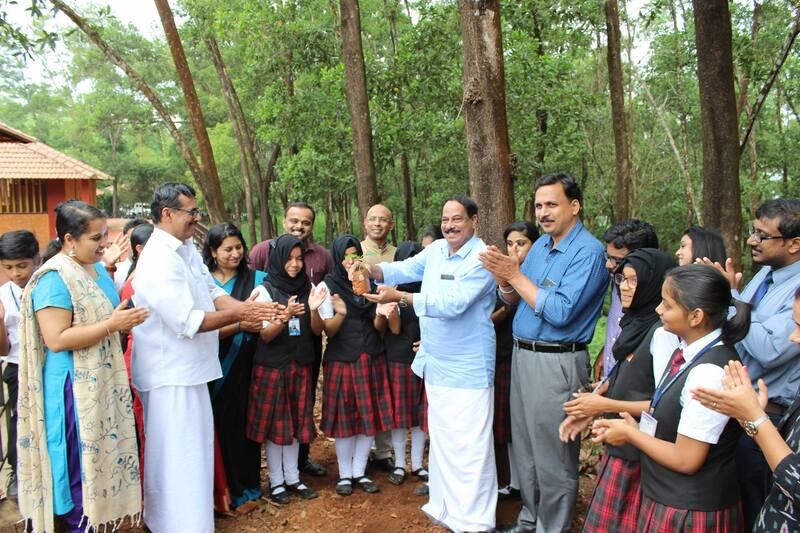 Sadhbhavana World School is proud to announce that the school has been handpicked by the Compassionate Kozhikode team led by Kozhikode District Collector, Shri N. Prasanth IAS, to be a part of their 17 th project christened "Parasparam". 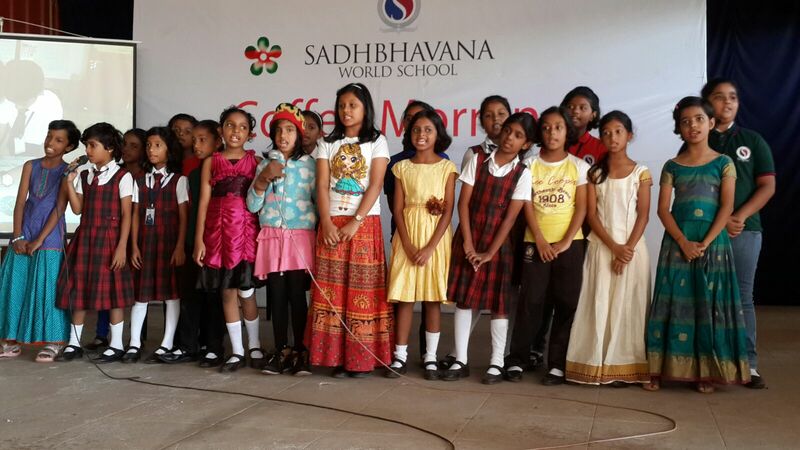 In fact, Sadhbhavana is the only school chosen for the pilot of this project. 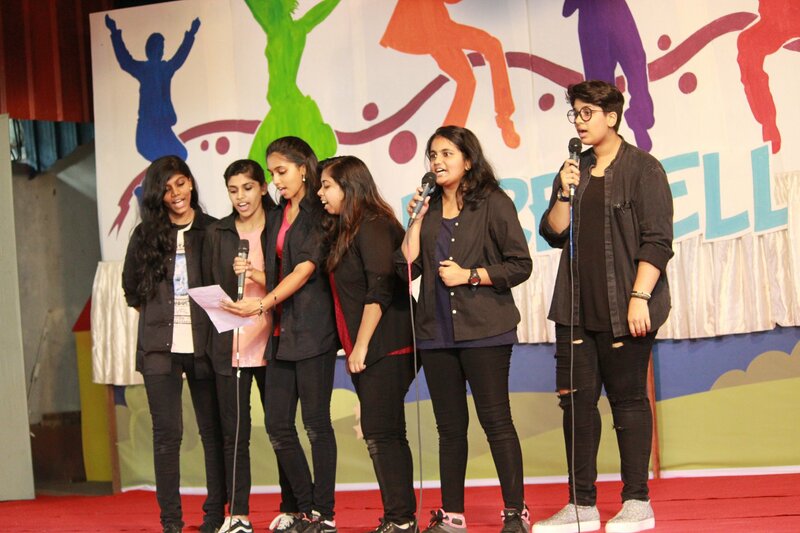 "Parasparam" aims to give students insights on gender equality and issues related to the same through thought provoking activities, there by sensitizing them and igniting their minds. 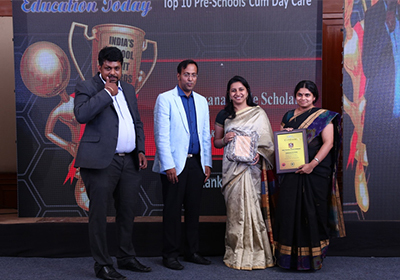 Sadhbhavana Little Scholars ranked as the number 1 pre-school in the country for Inclusive Practices, number 2 in the country for Best Curriculum and number 3 in the country for Effective Partnership with Parents by Early Childhood Association, India. 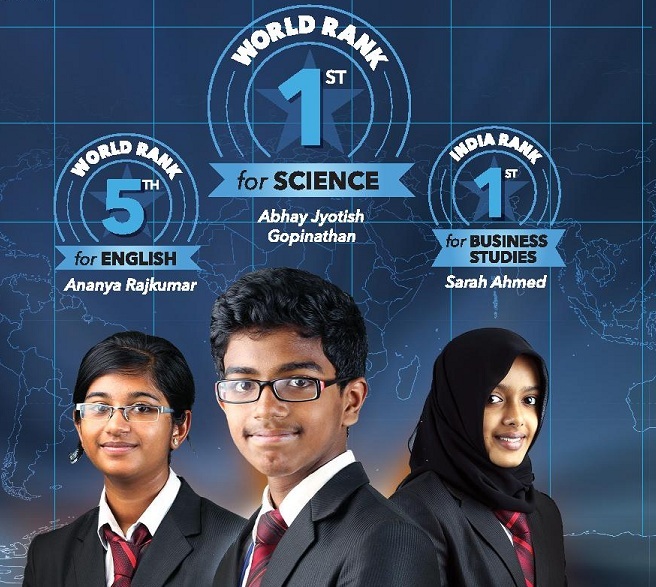 Sadhbhavana Little Scholars has been ranked as the No. 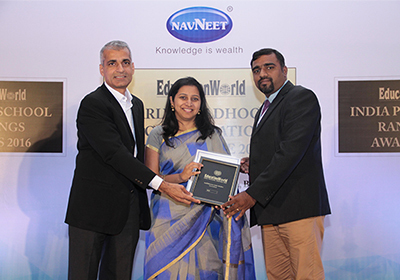 1 in Pre-schooling Kochi in the EducationWorld India Preschool Rankings 2016. I truly believe that attending Sadhbhavana World School has not only given me an excellent academic and non academic experience but also, most importantly a firm foundation of faith. 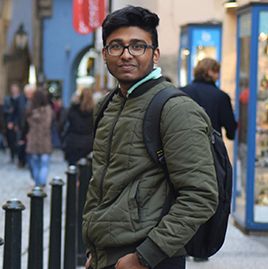 I was a very diffident youth and Sadhbhavana has helped me become a more self-confident person and built my personality throughout my academic years. Faran ElatMechanical Engineering at Czech Technical University in Prague. Sadhbhavana is that kind of a place that will leave a lifelong impact on you. I have experienced it first hand, it's a second home for me. 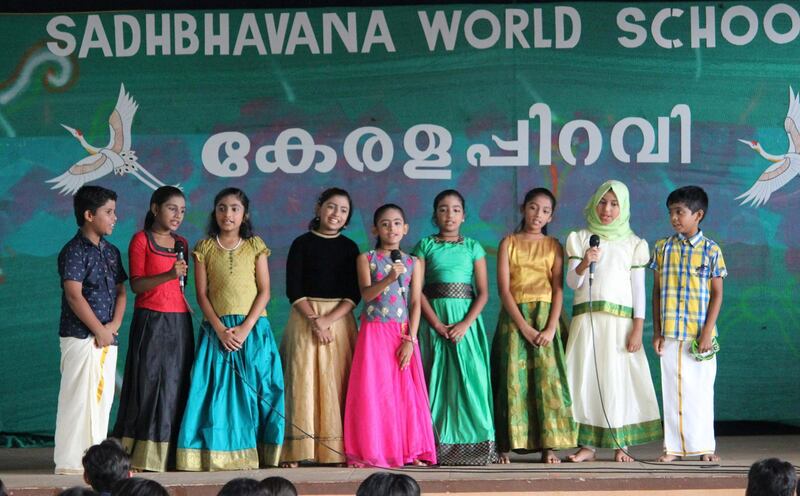 Sadhbhavana school is a perfect example of how different people can live together, work together, and learn together.